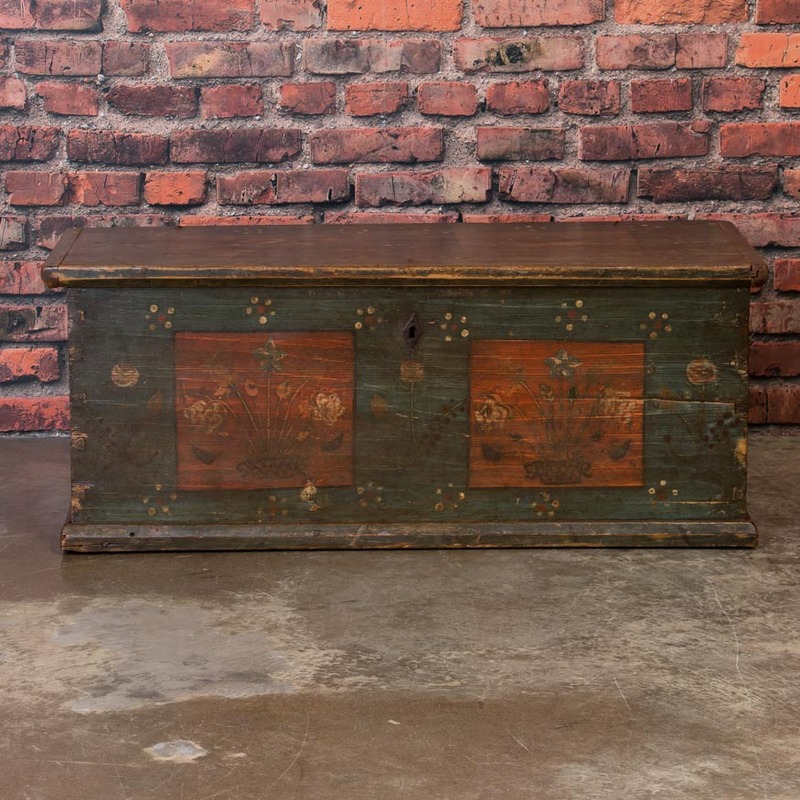 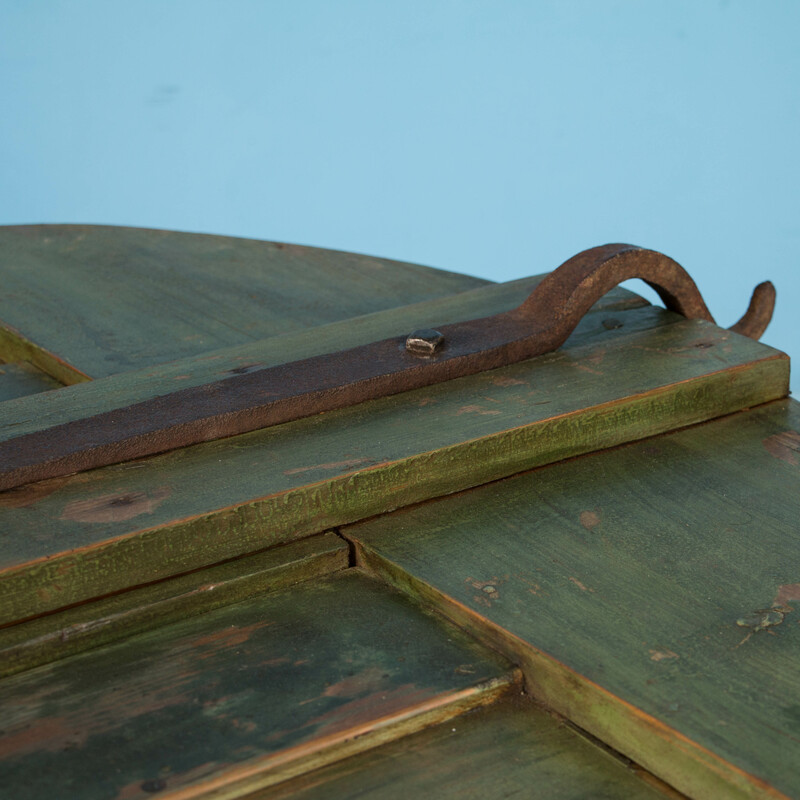 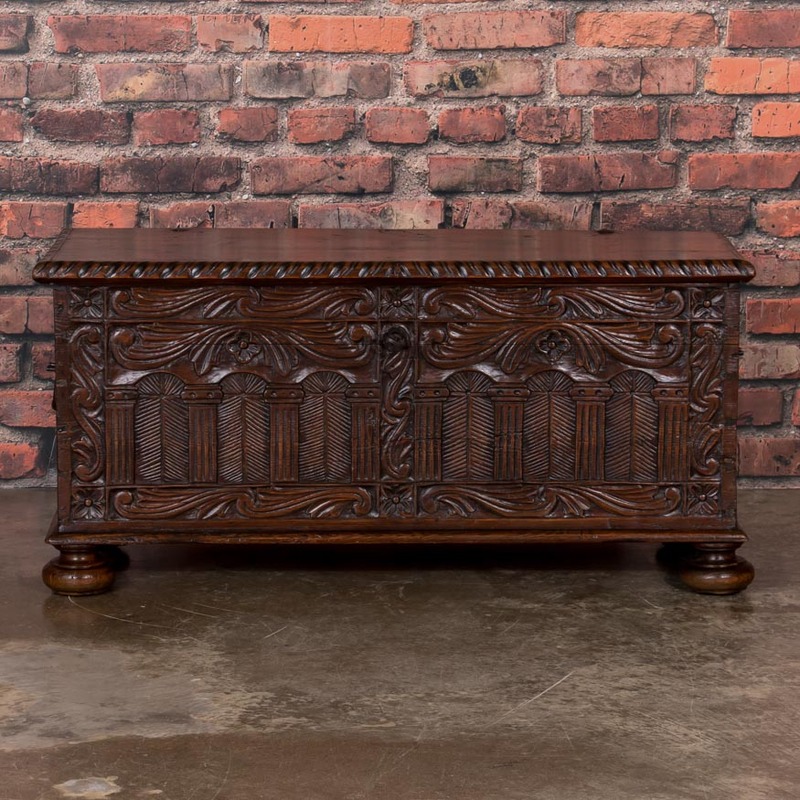 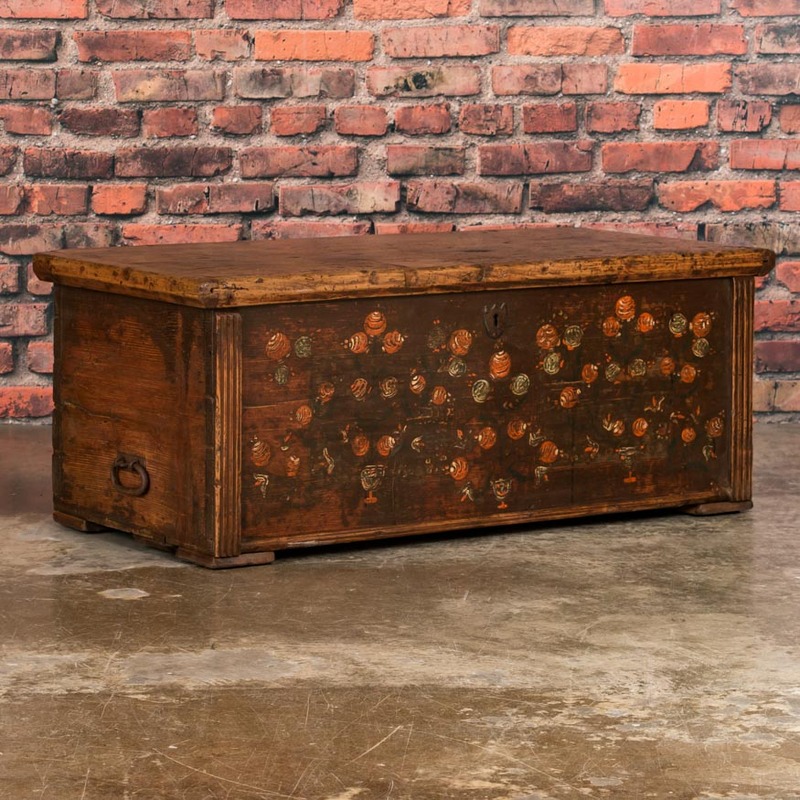 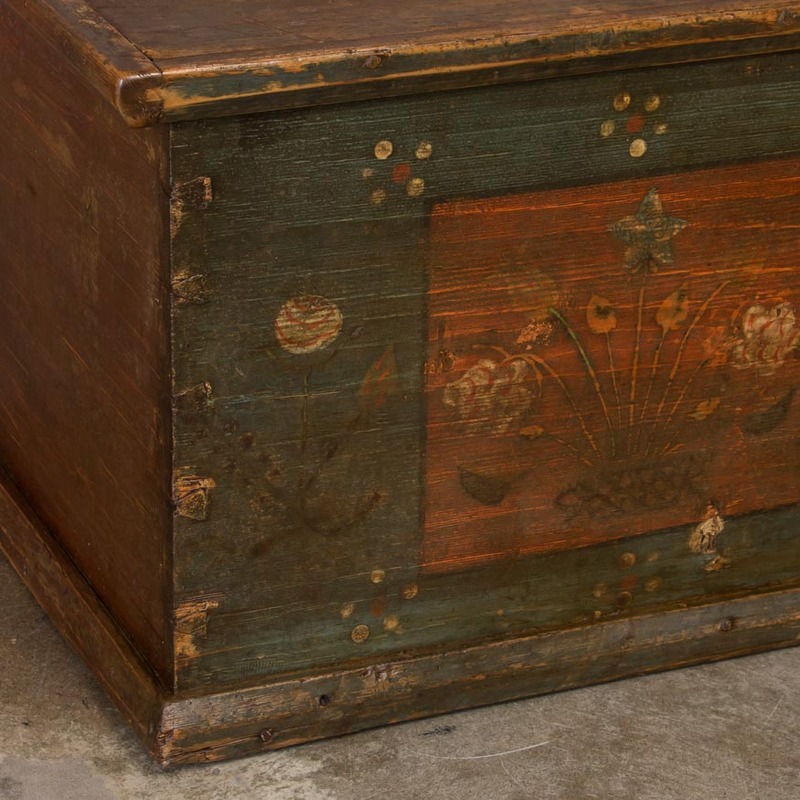 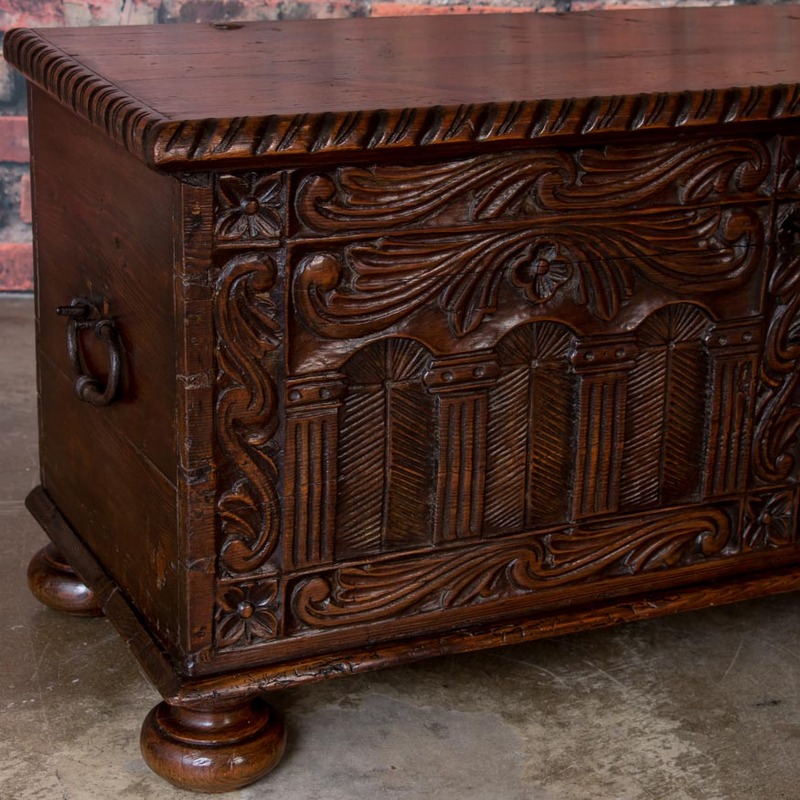 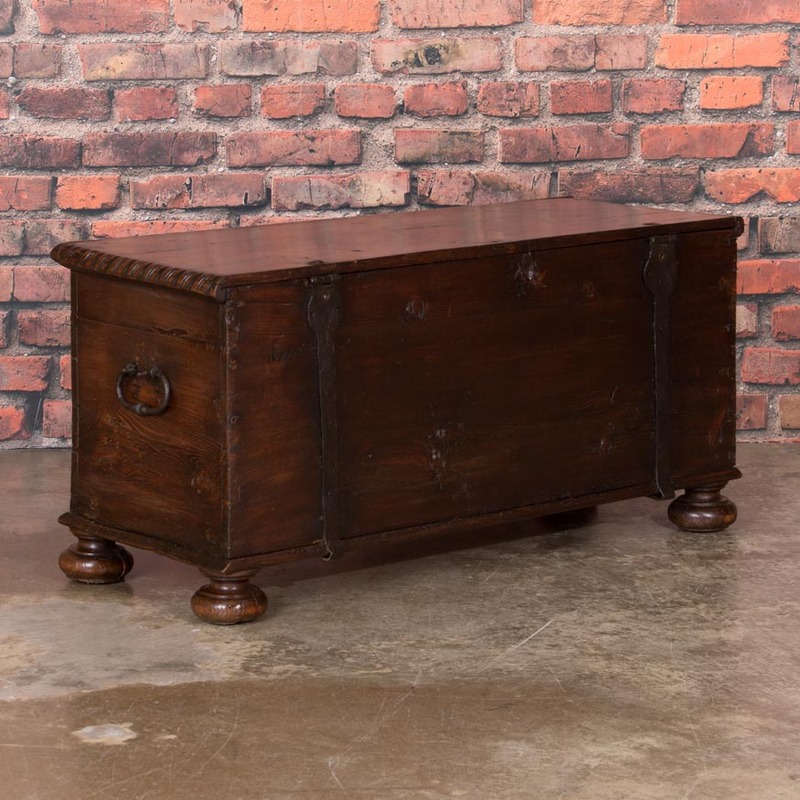 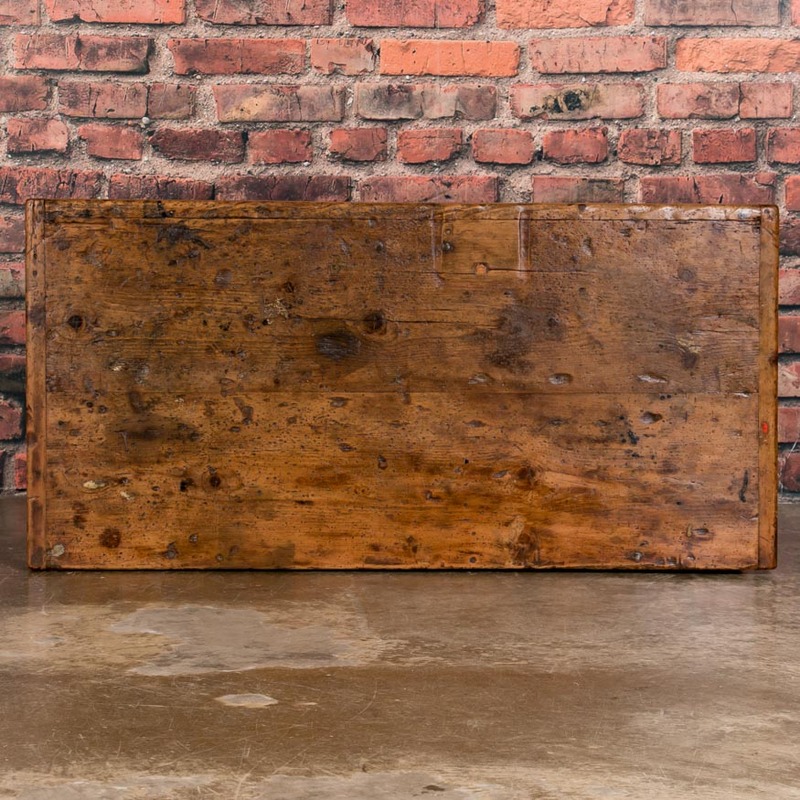 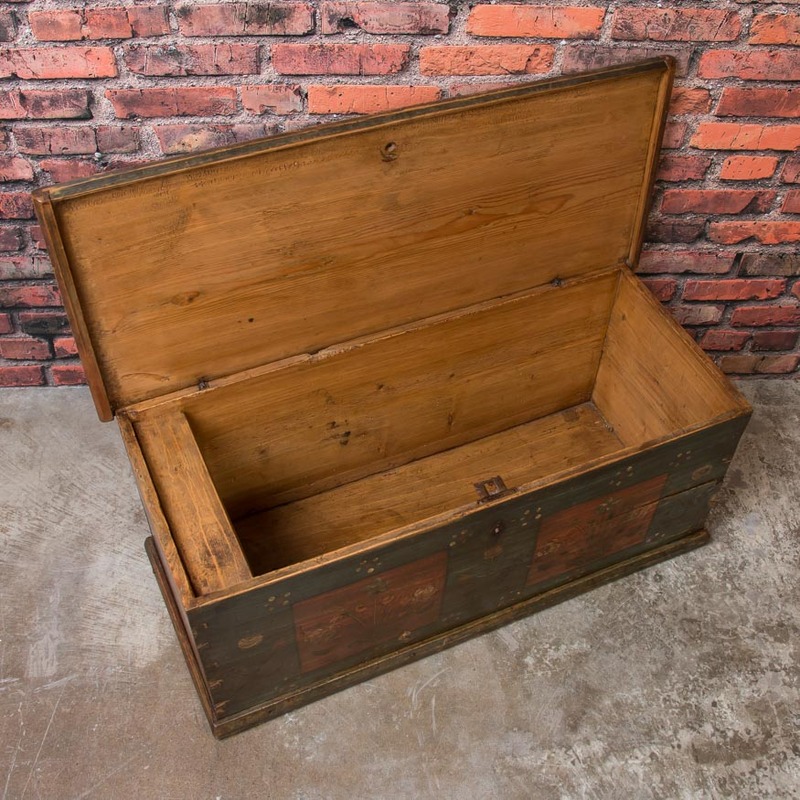 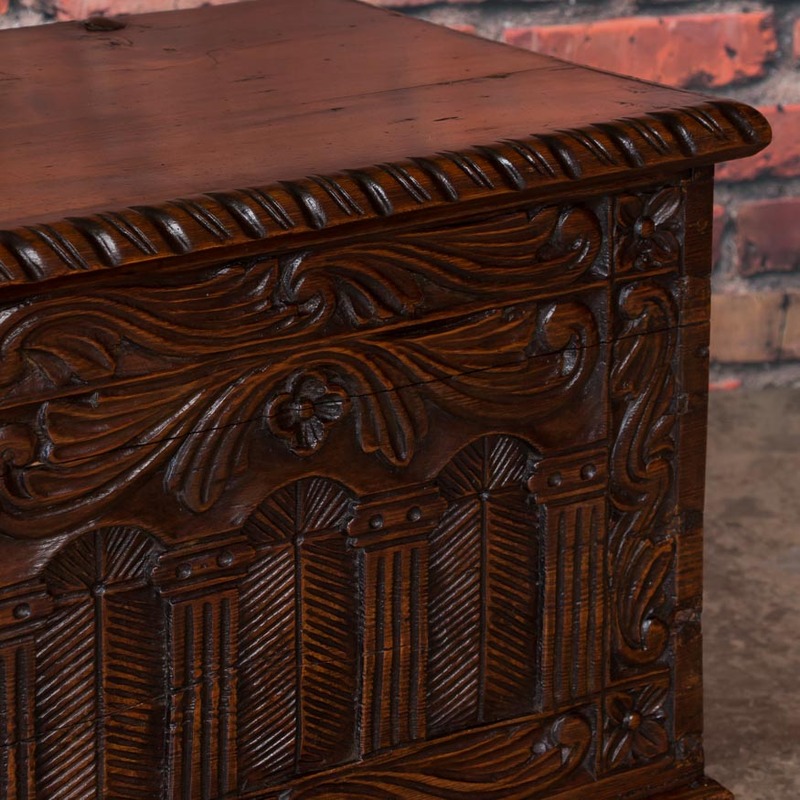 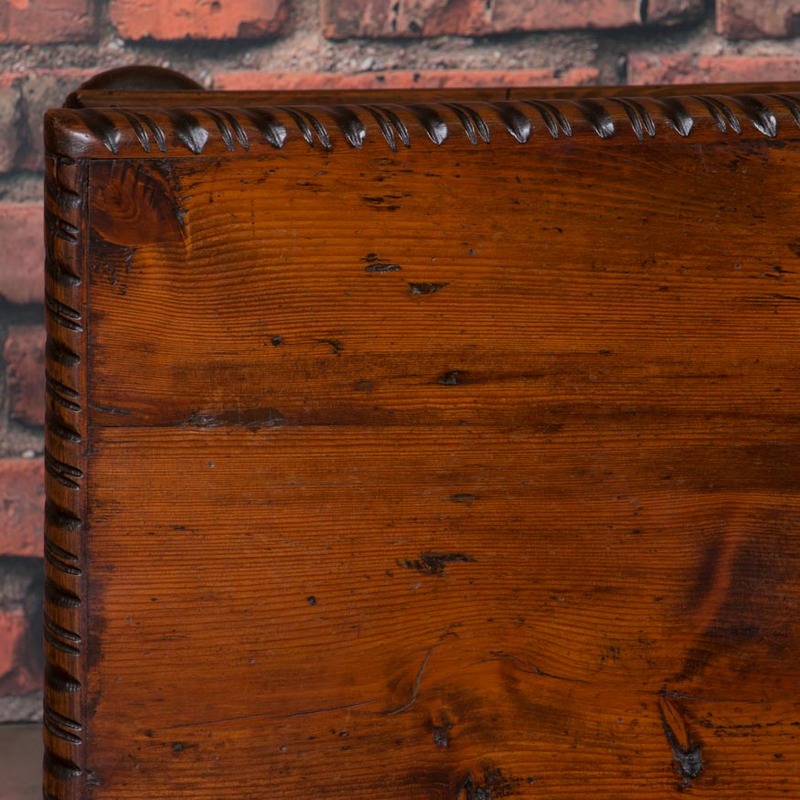 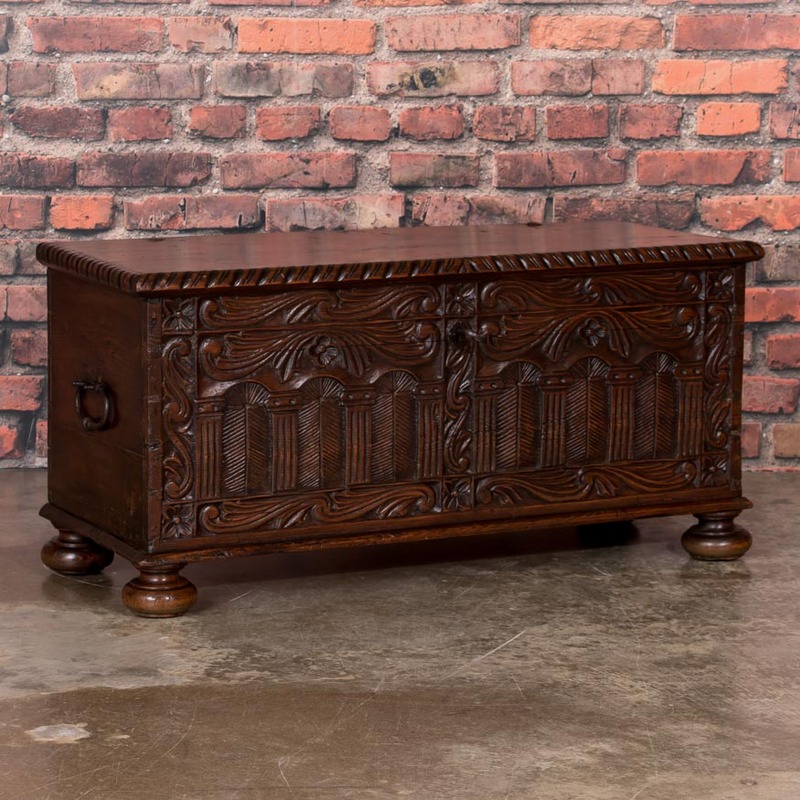 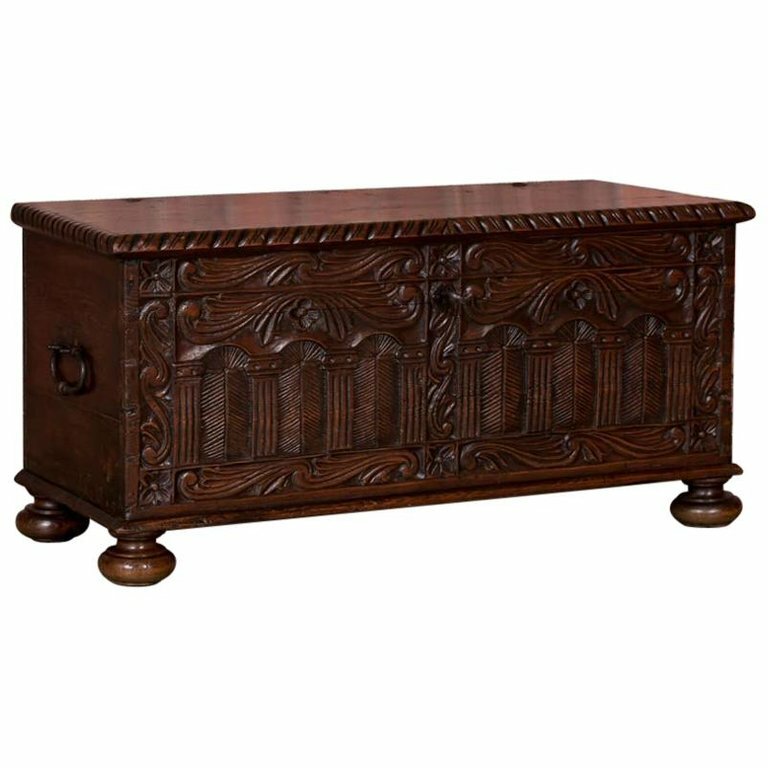 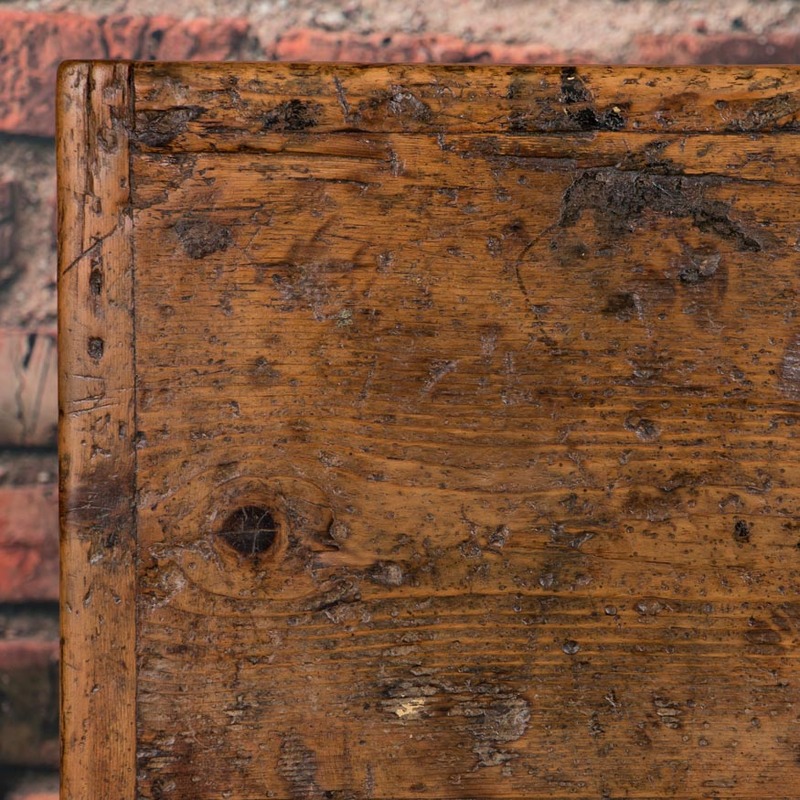 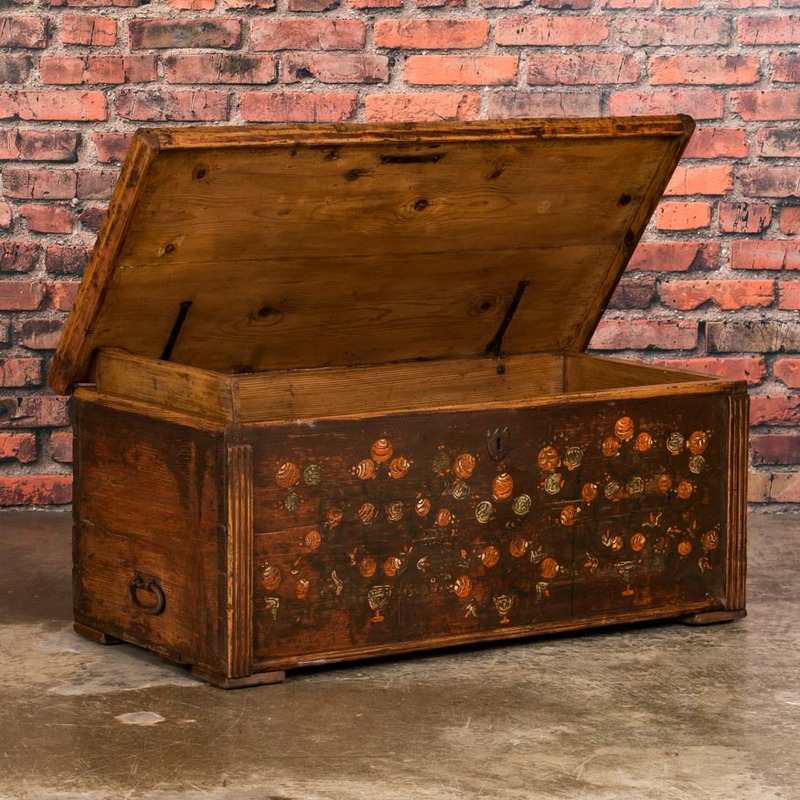 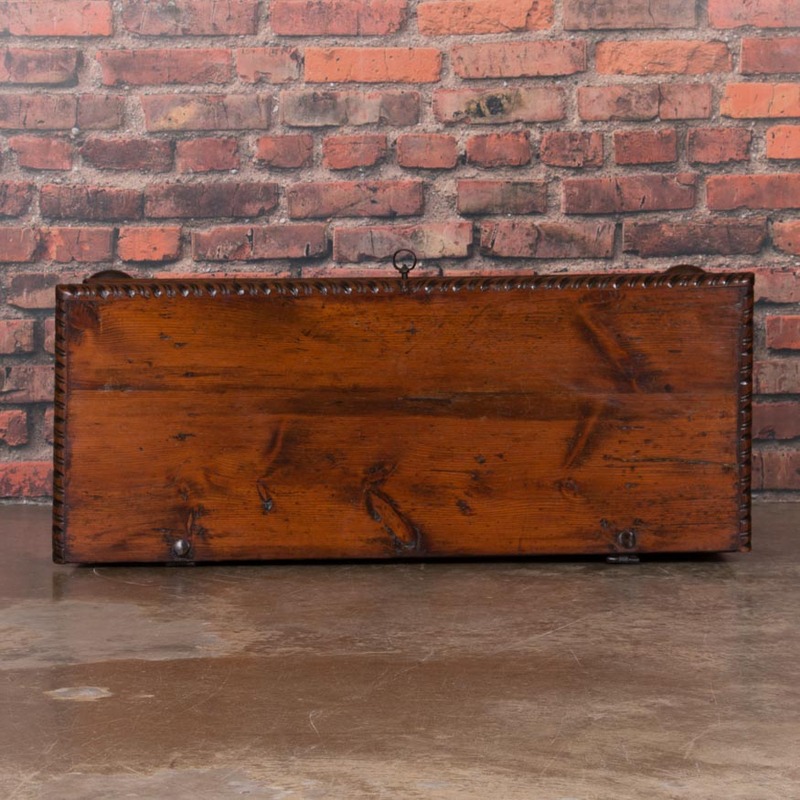 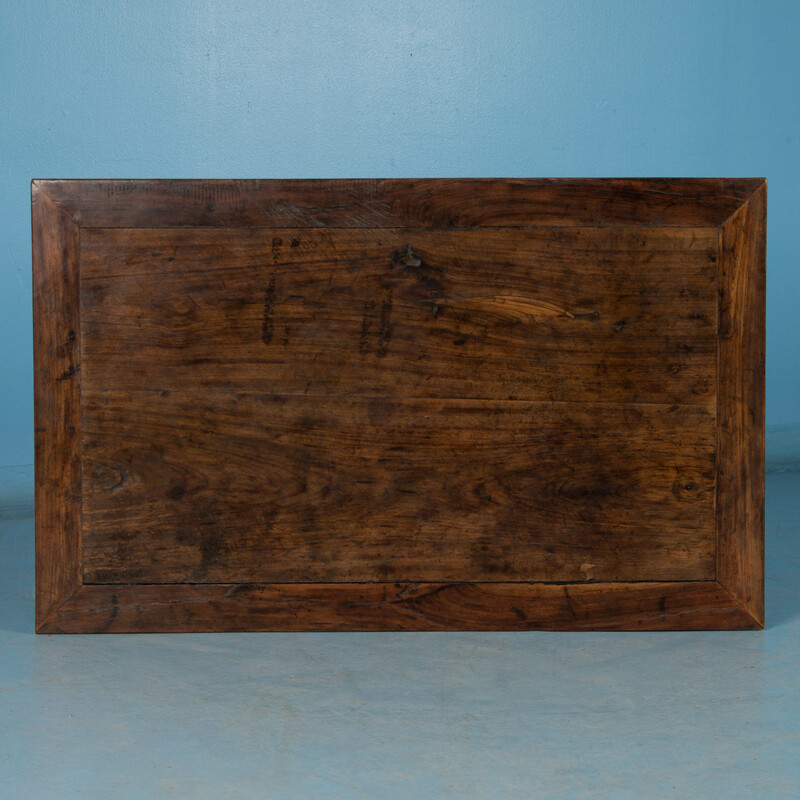 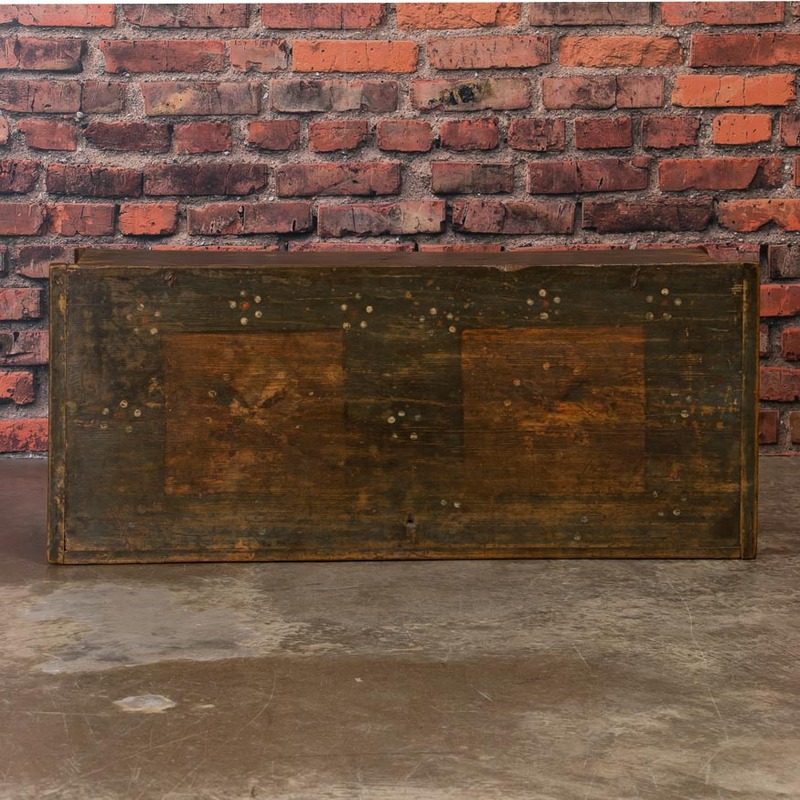 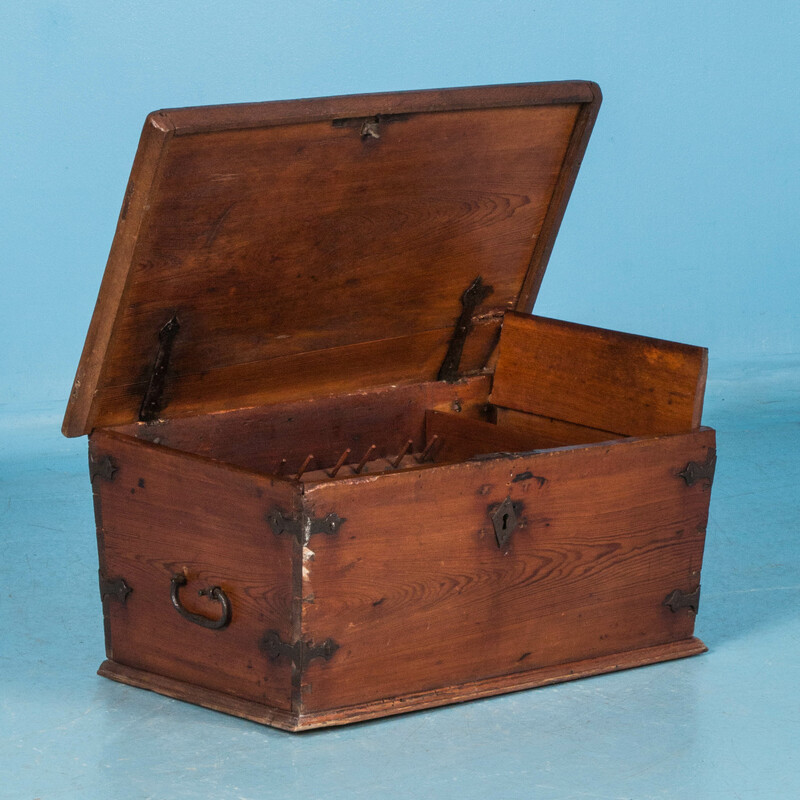 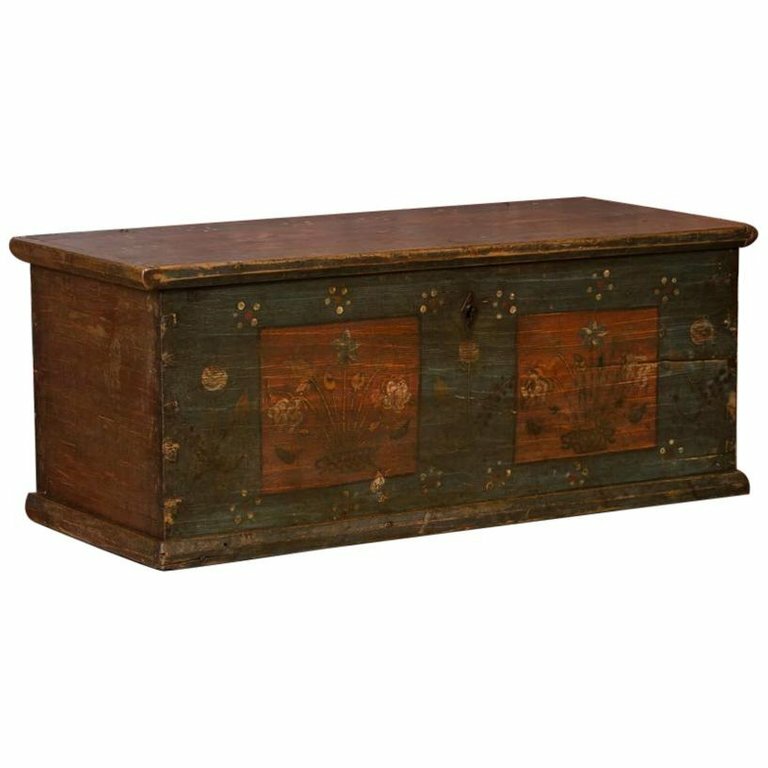 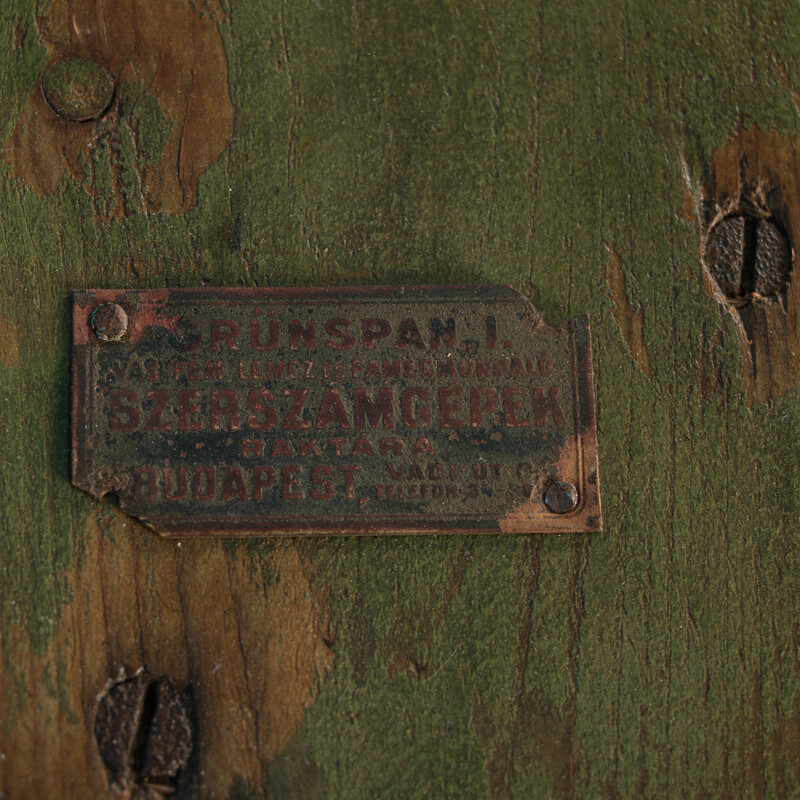 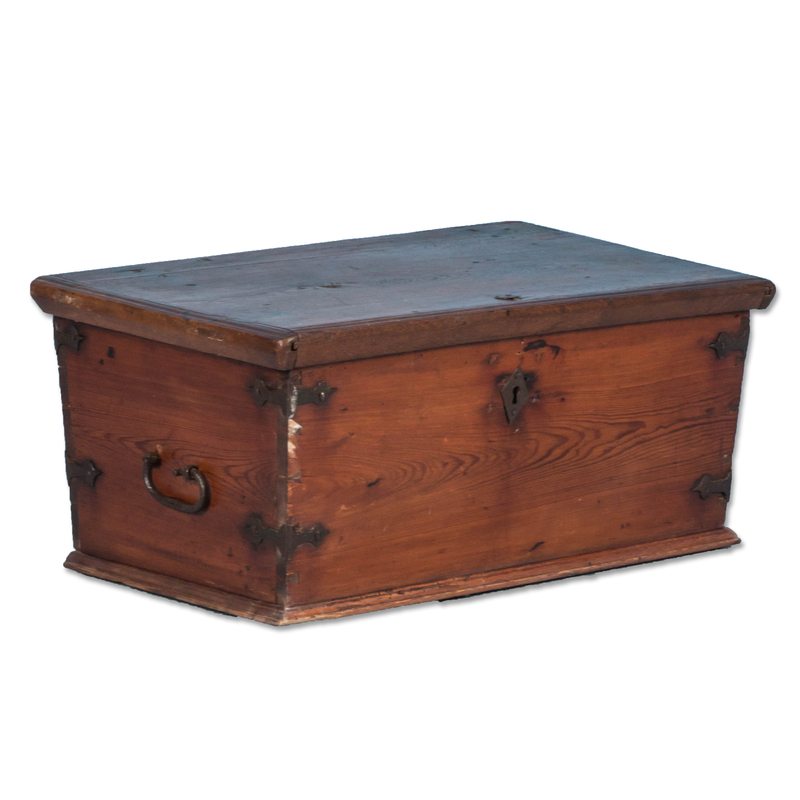 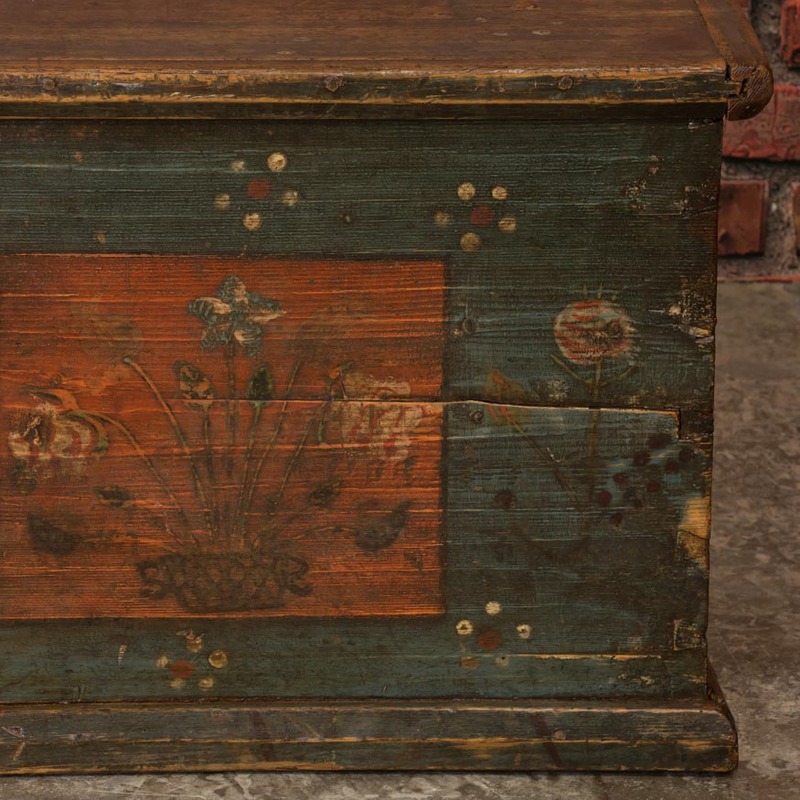 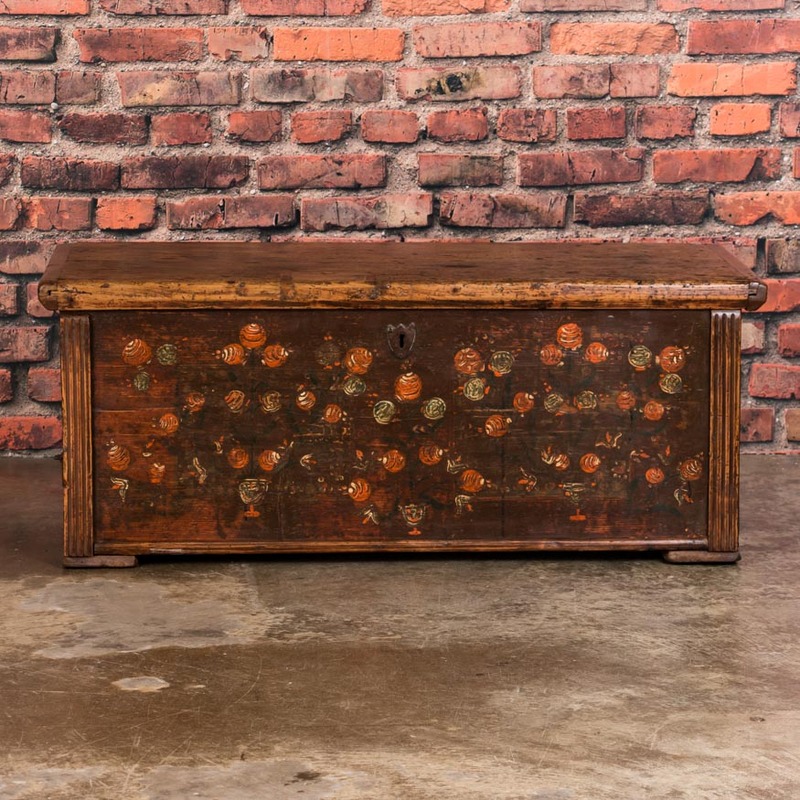 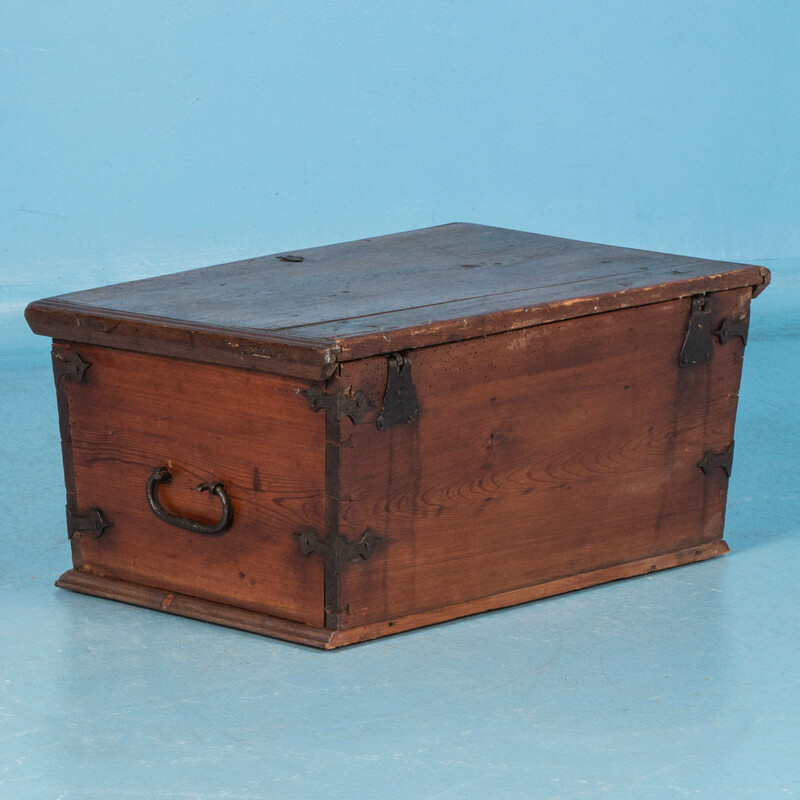 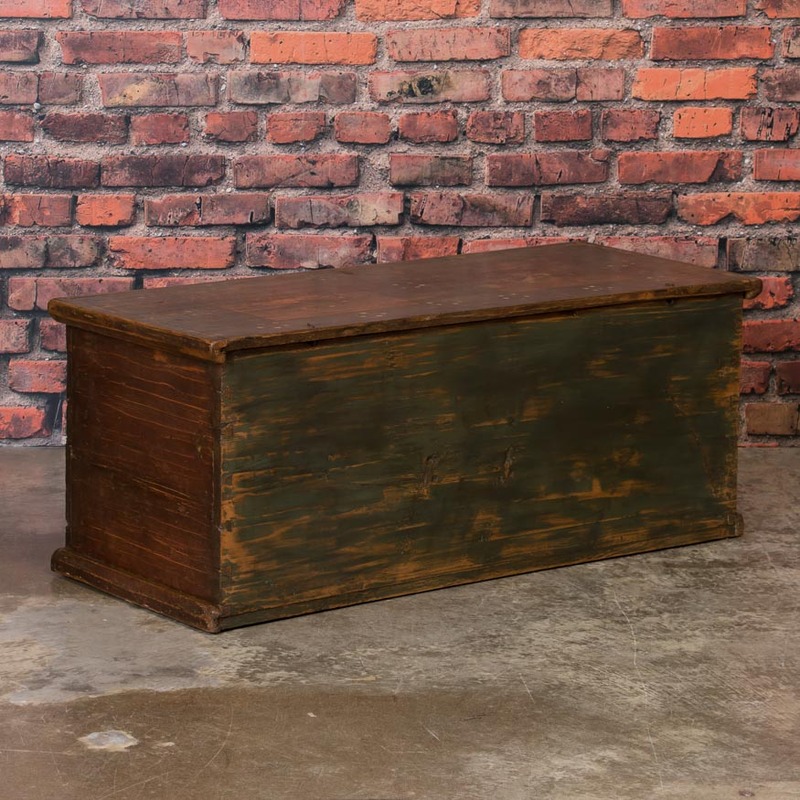 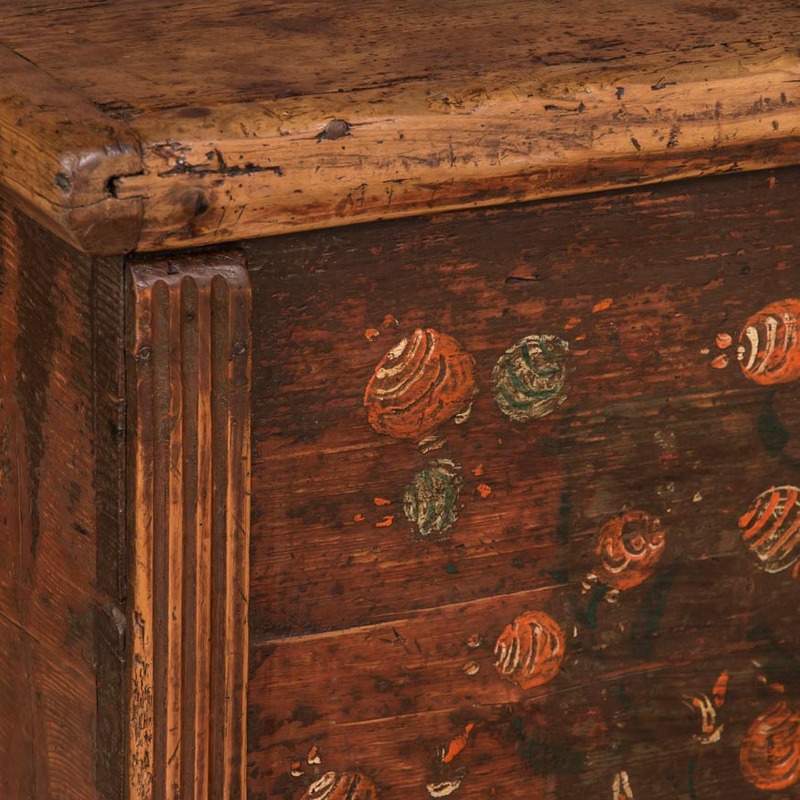 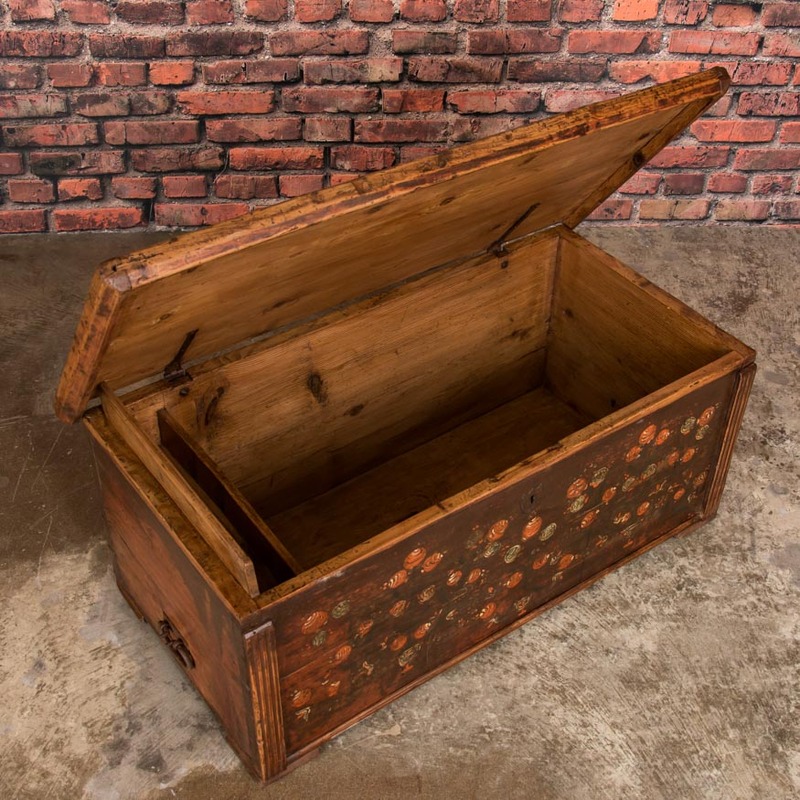 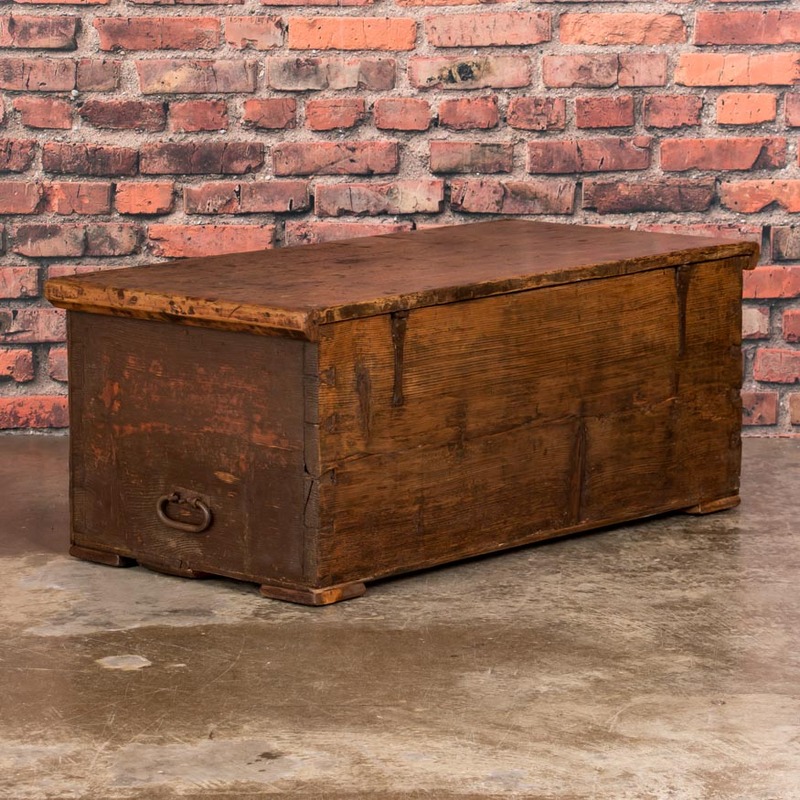 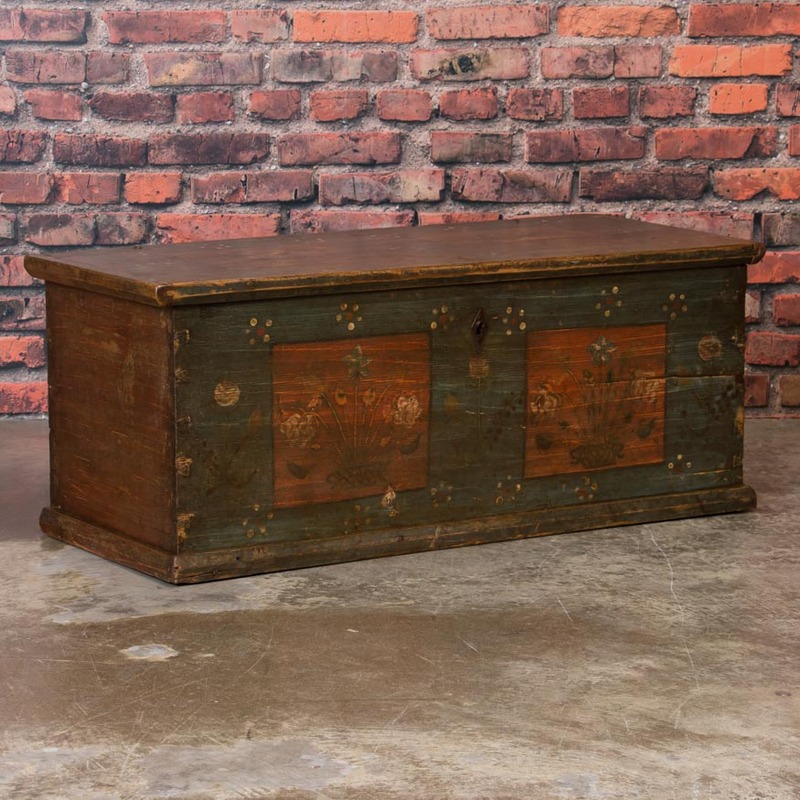 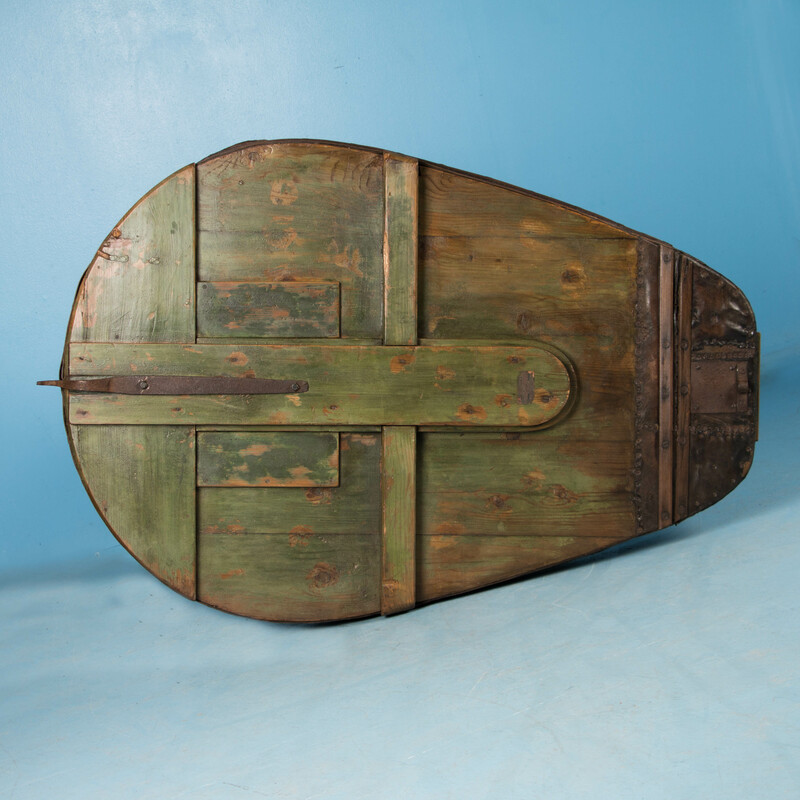 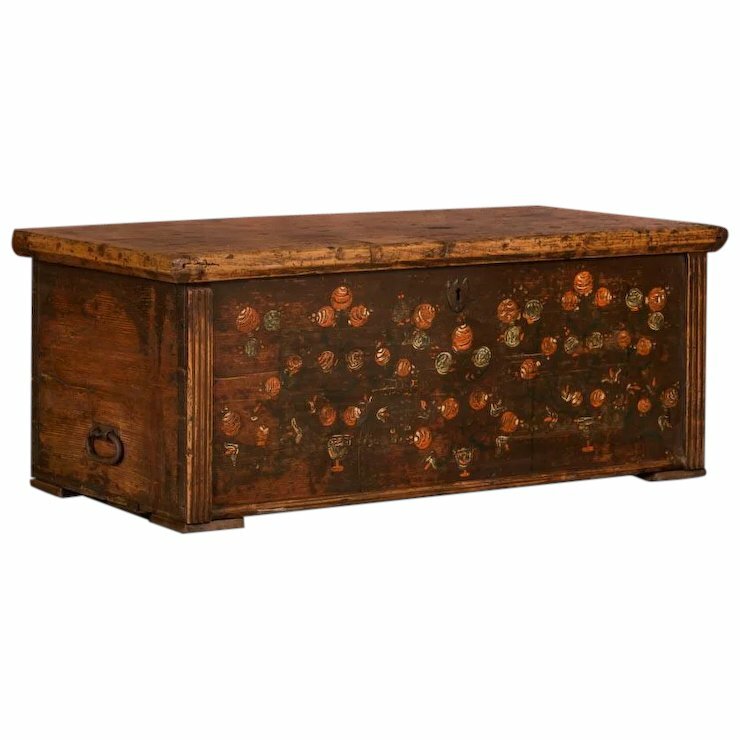 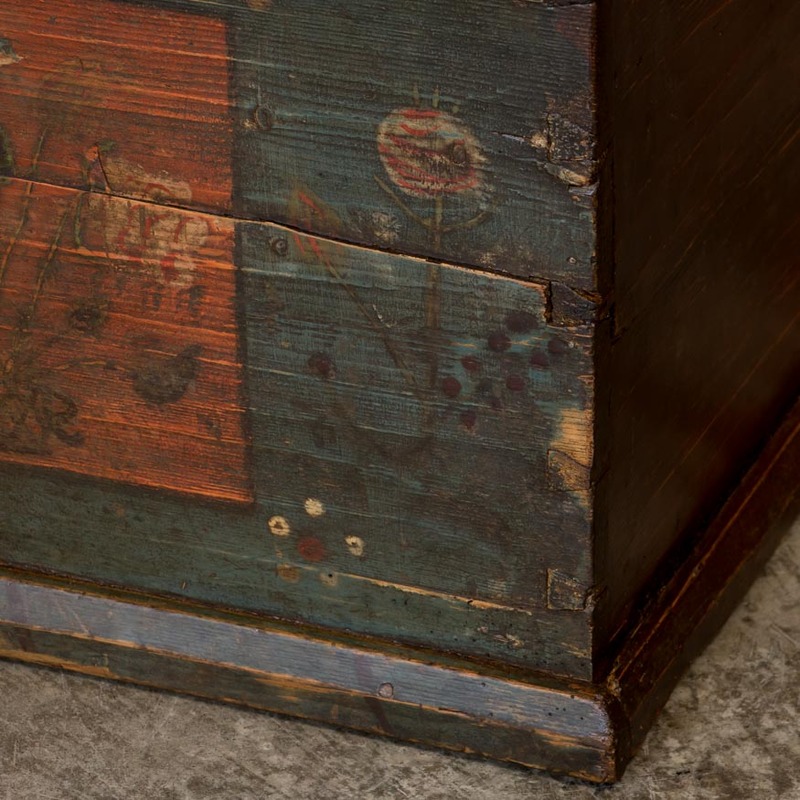 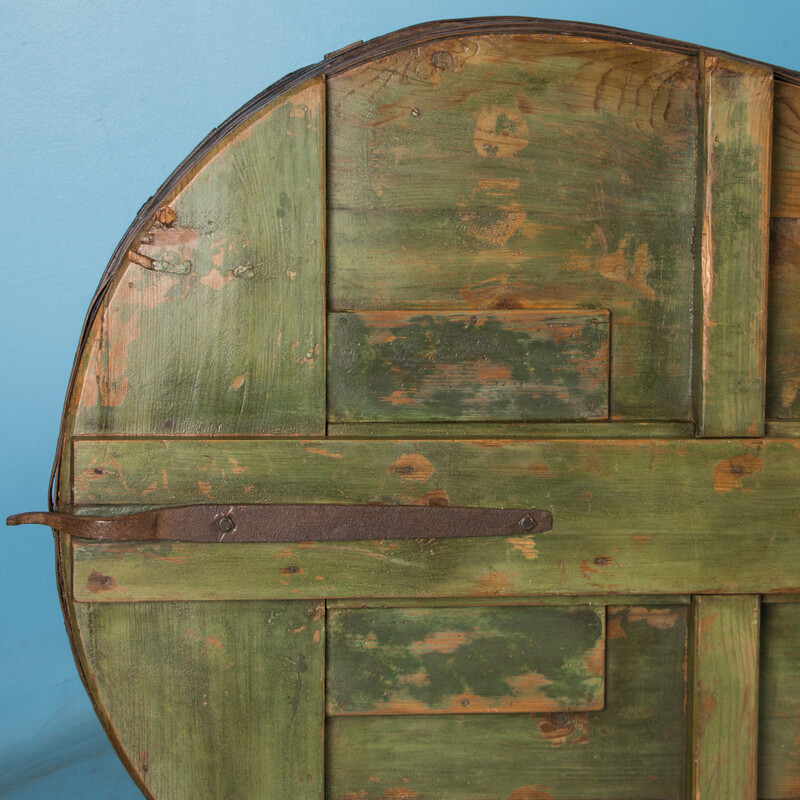 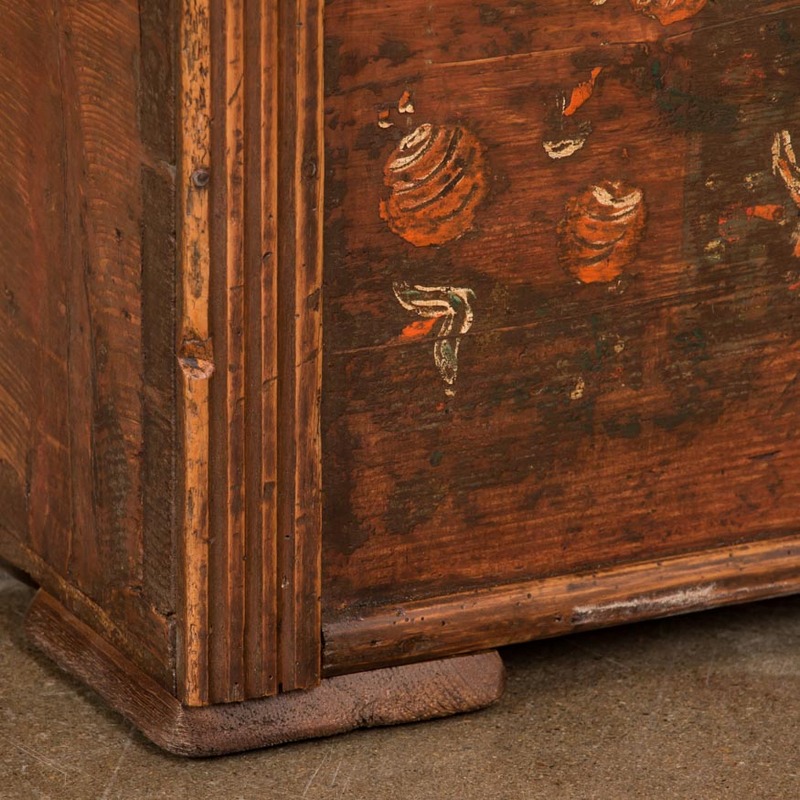 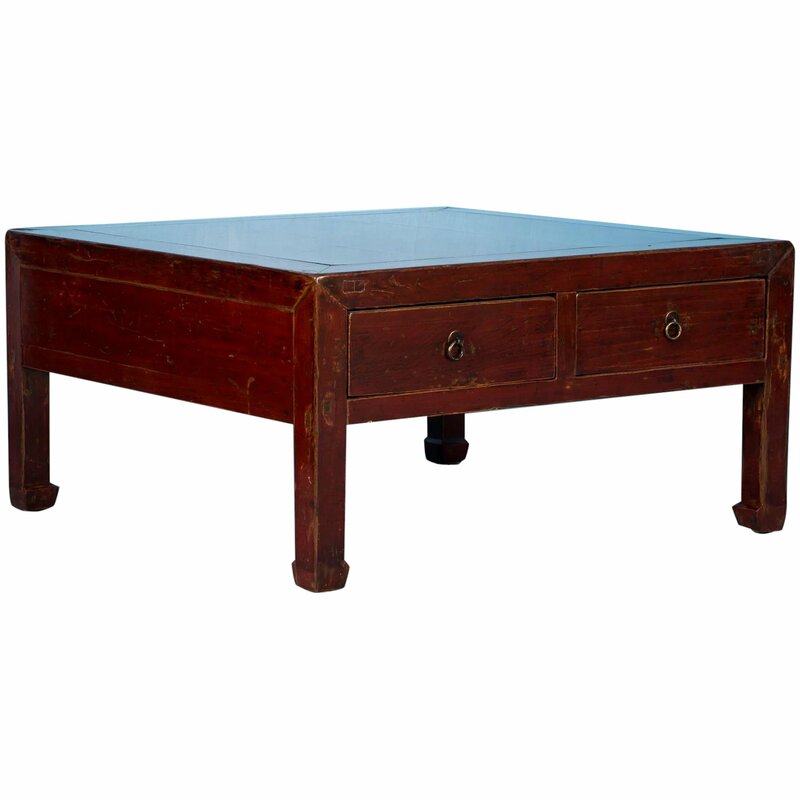 Antique pine trunk with tapering sides and featuring the original hardware. 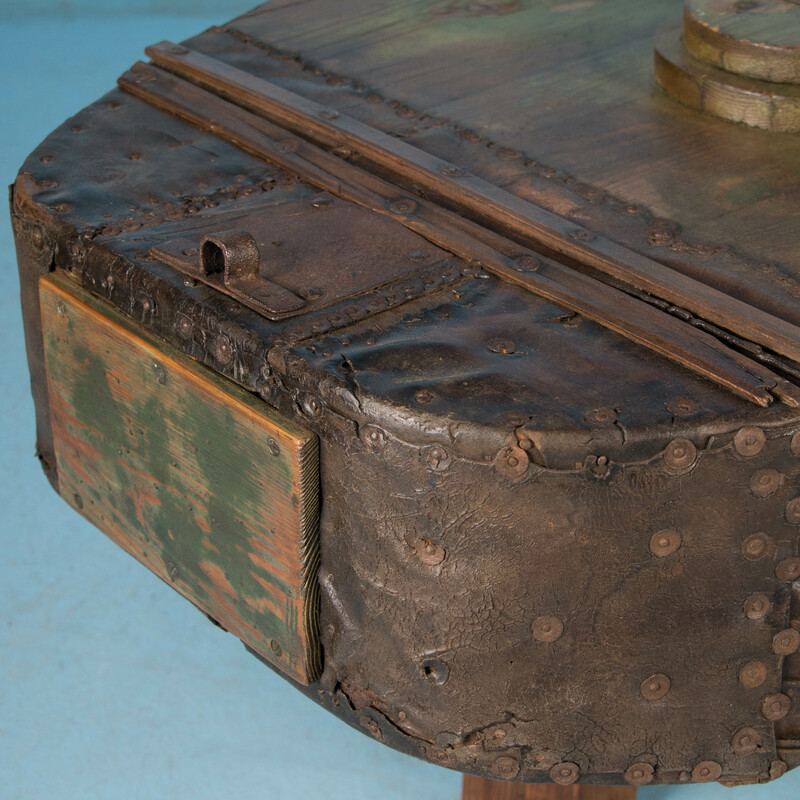 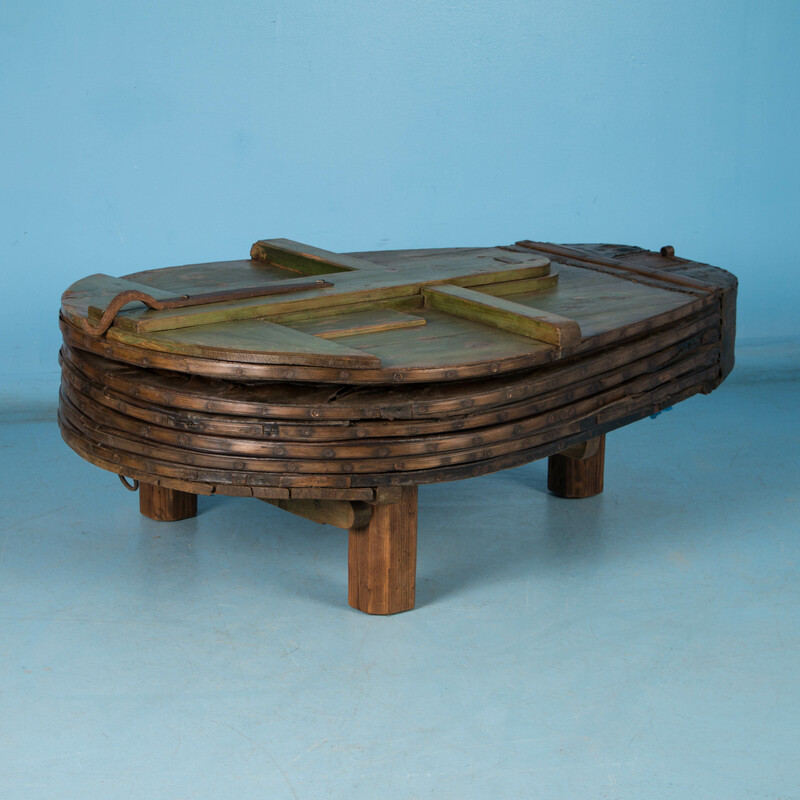 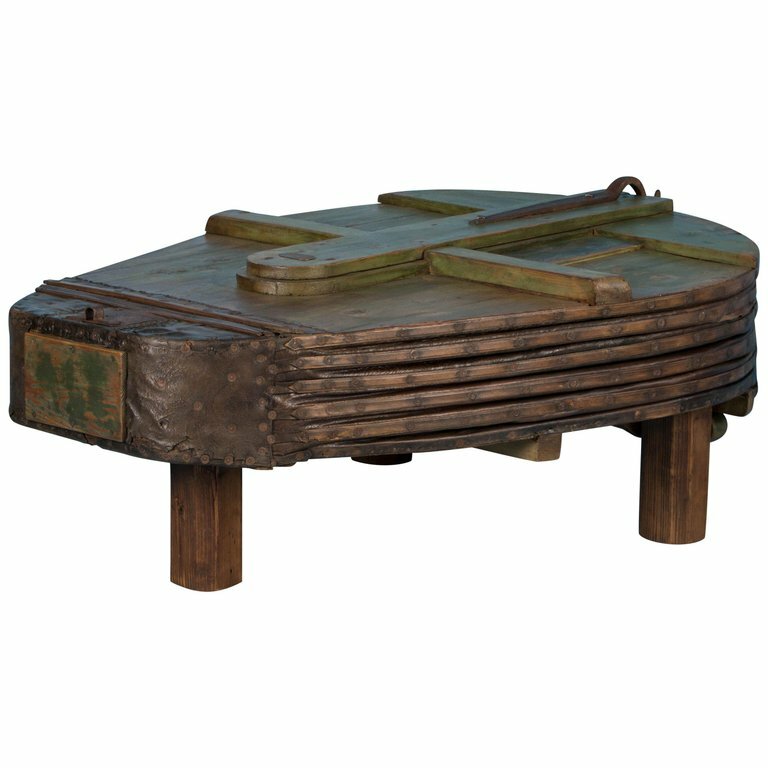 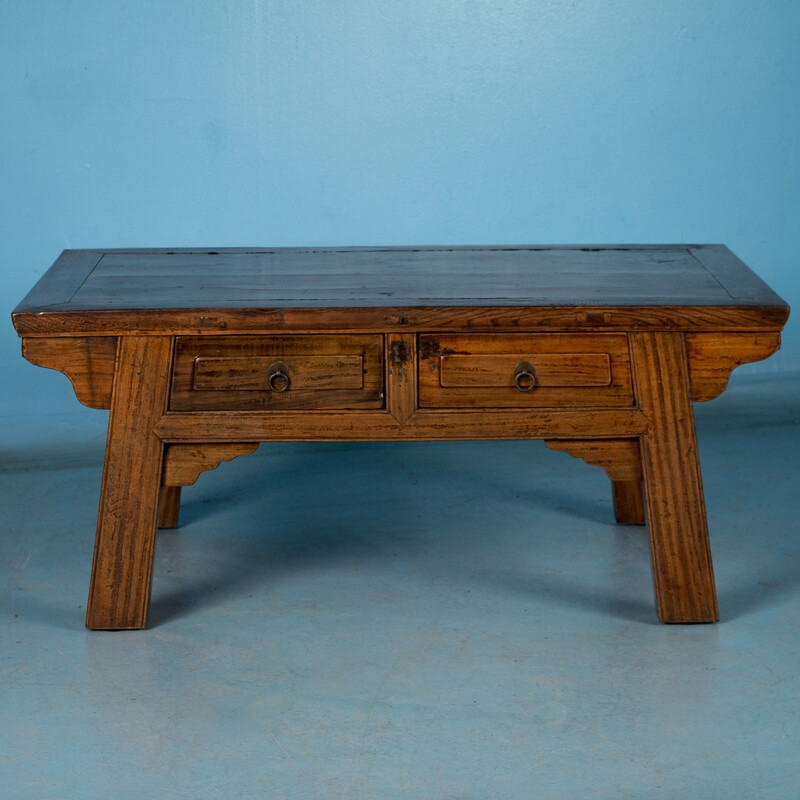 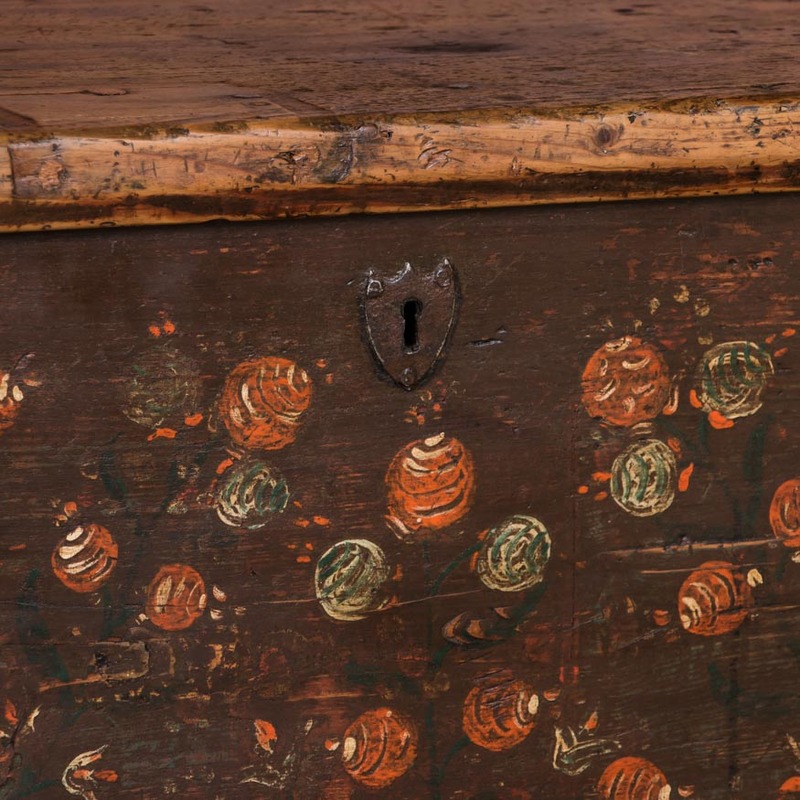 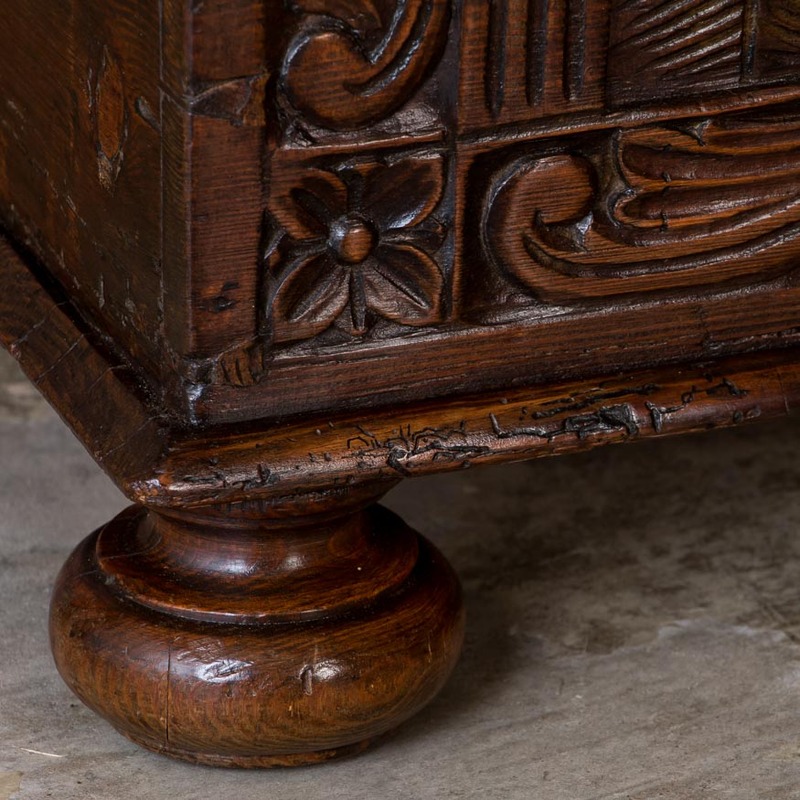 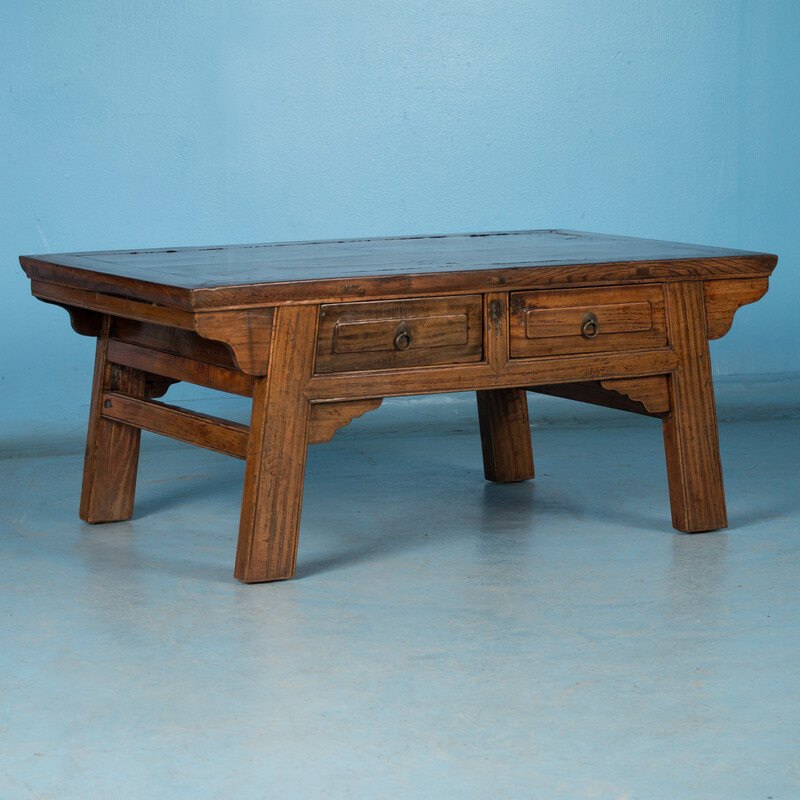 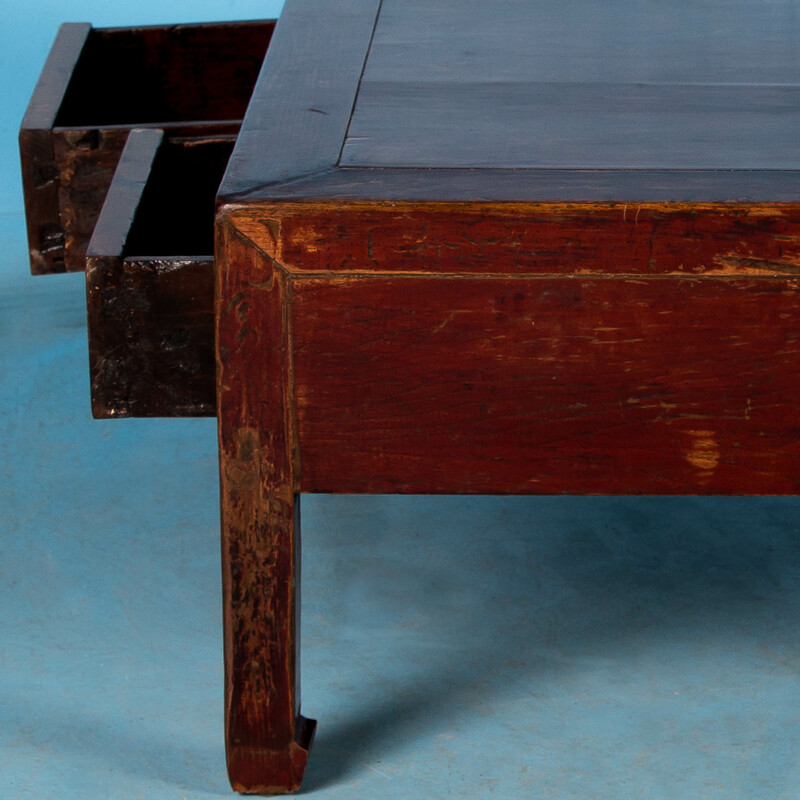 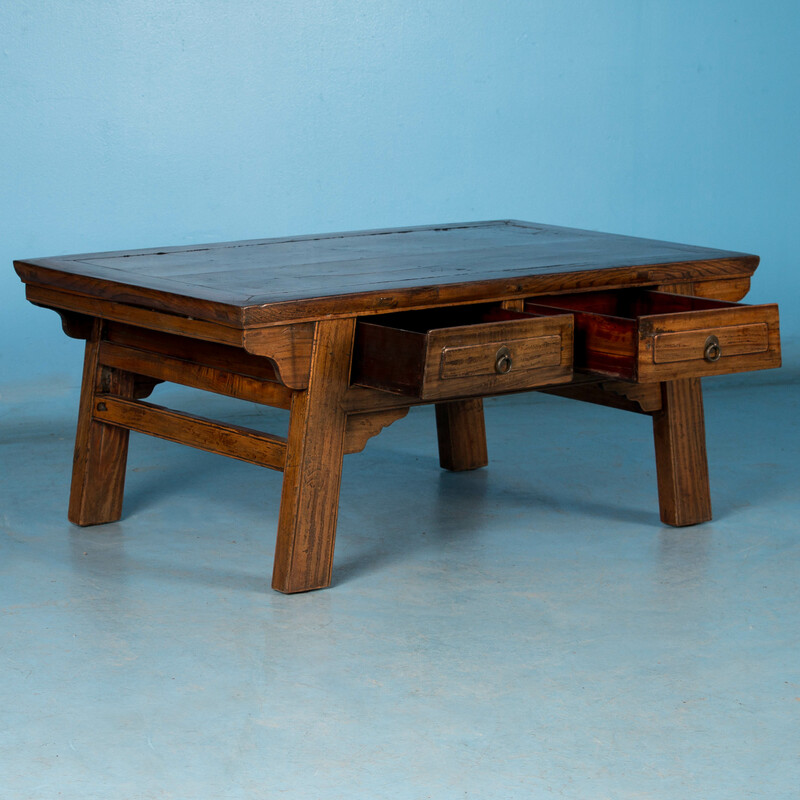 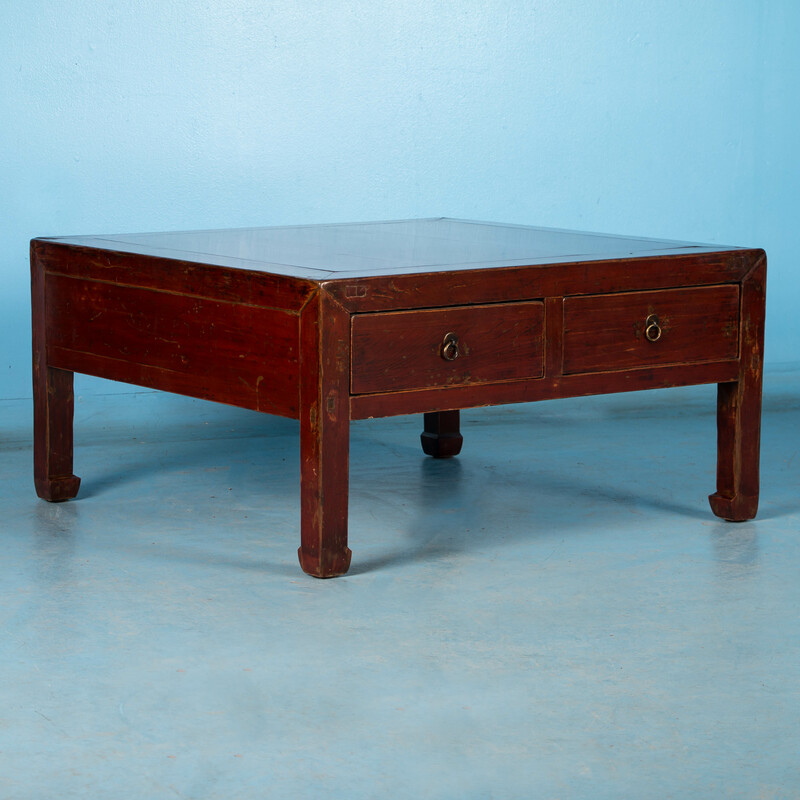 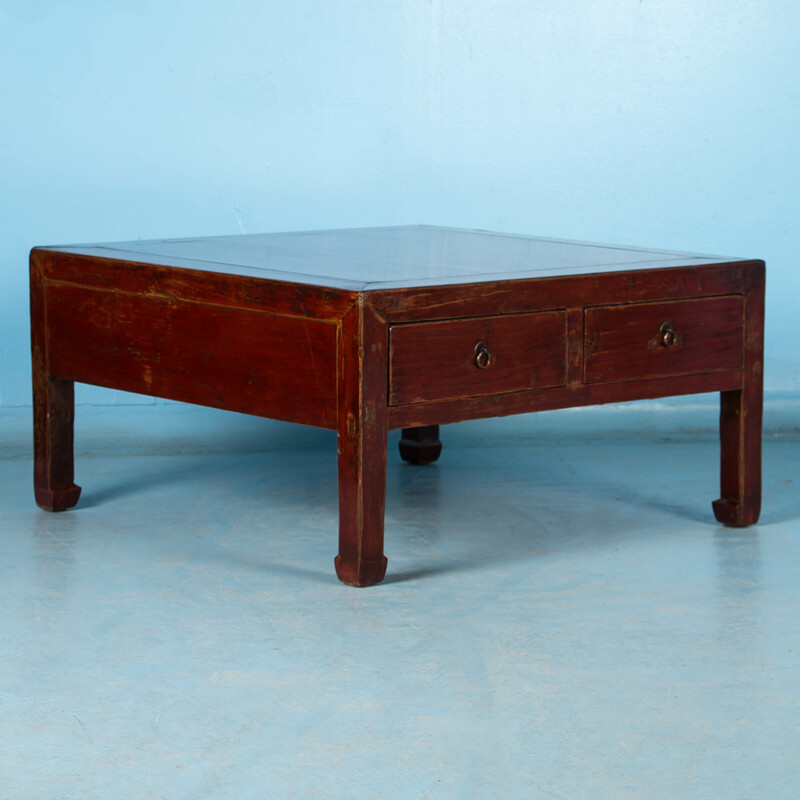 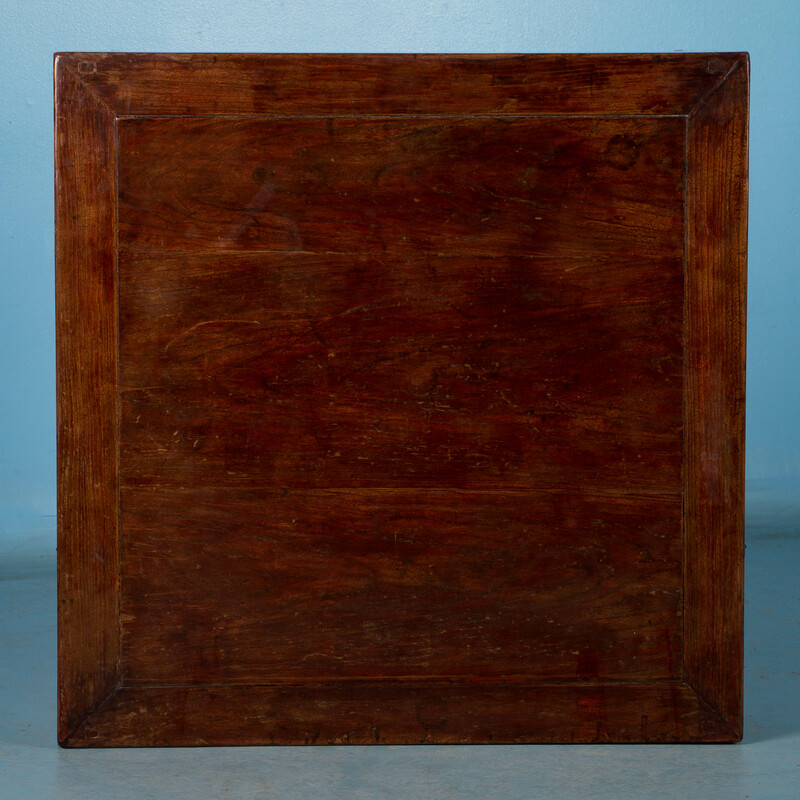 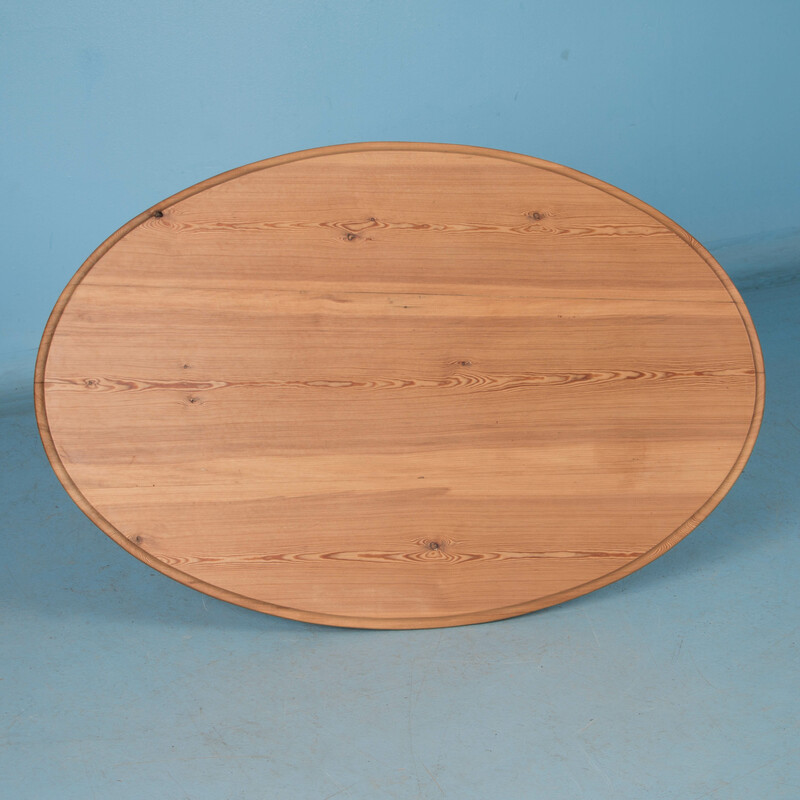 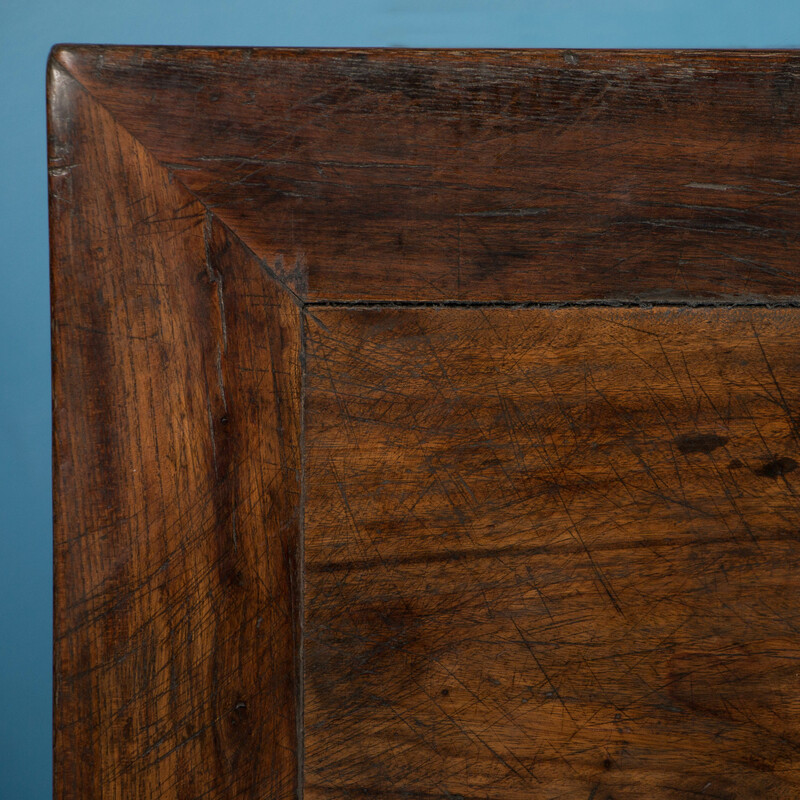 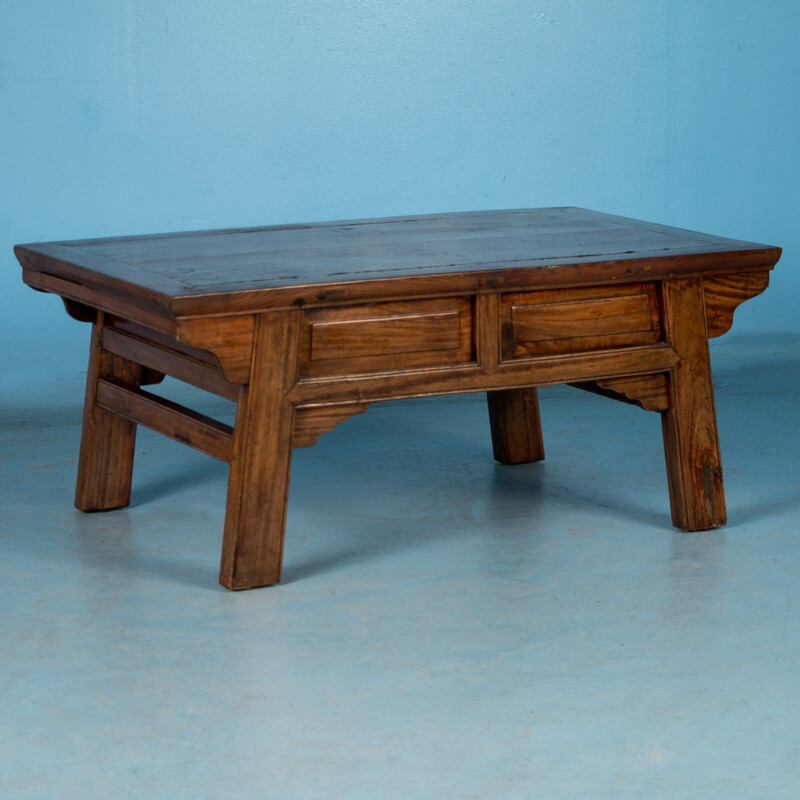 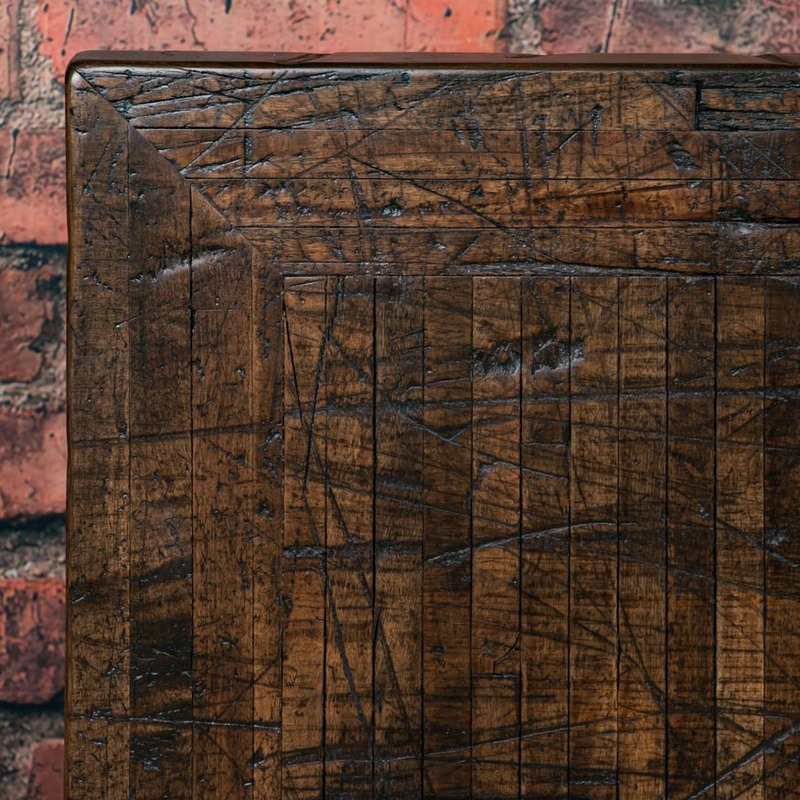 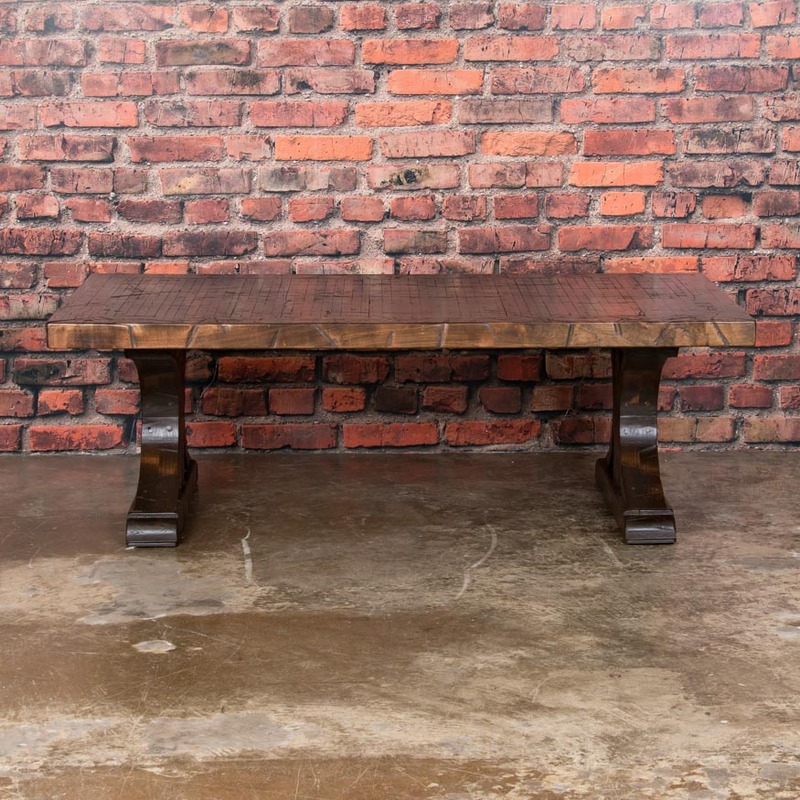 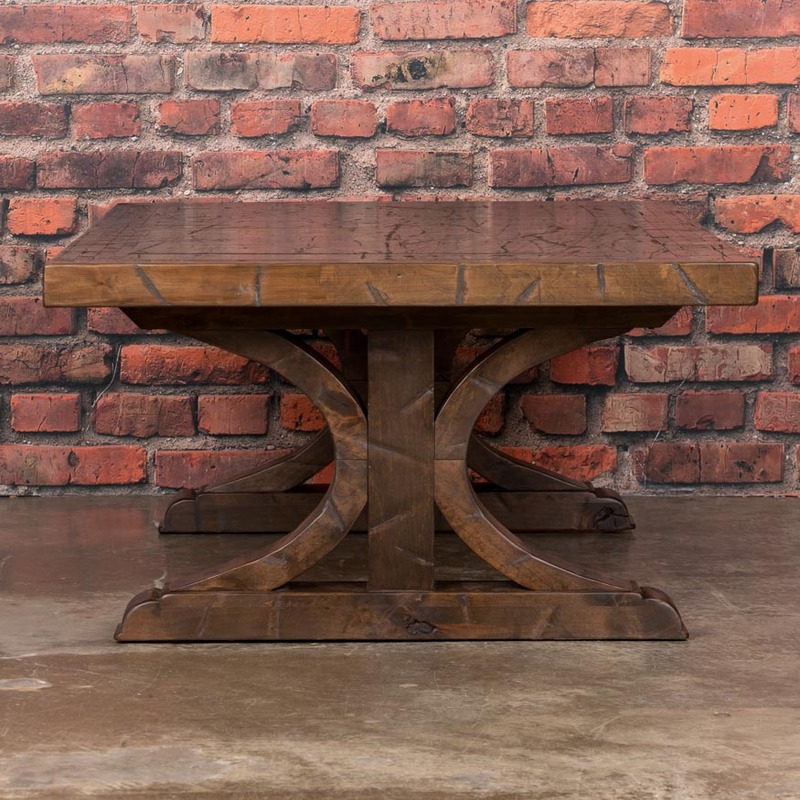 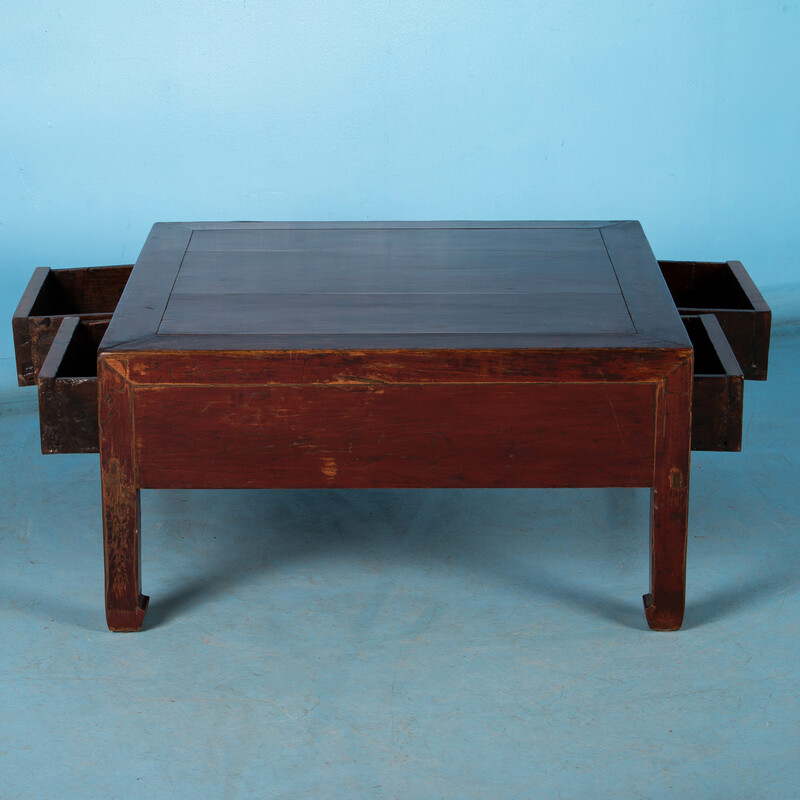 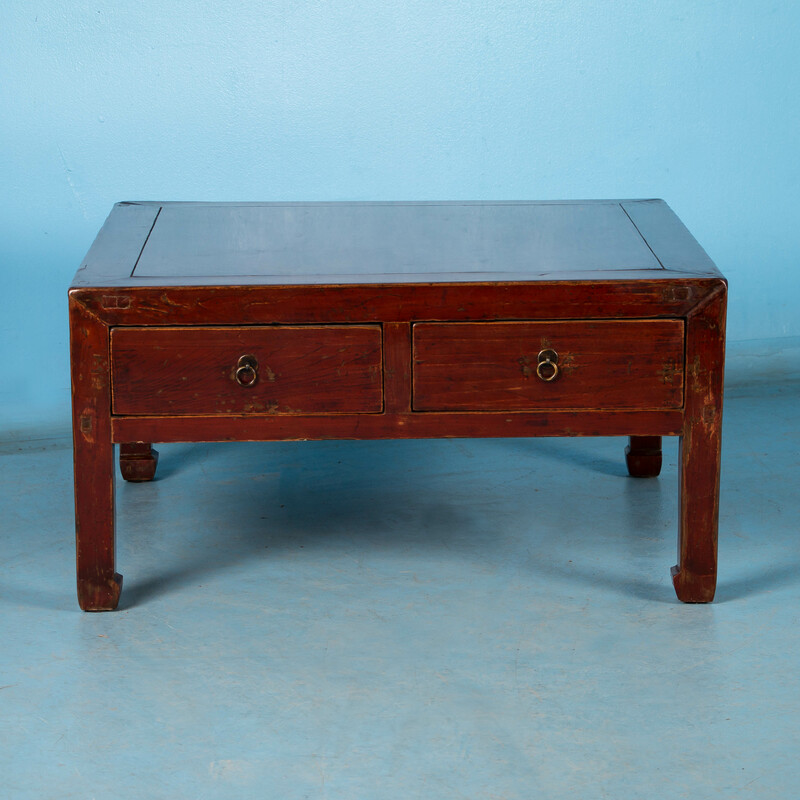 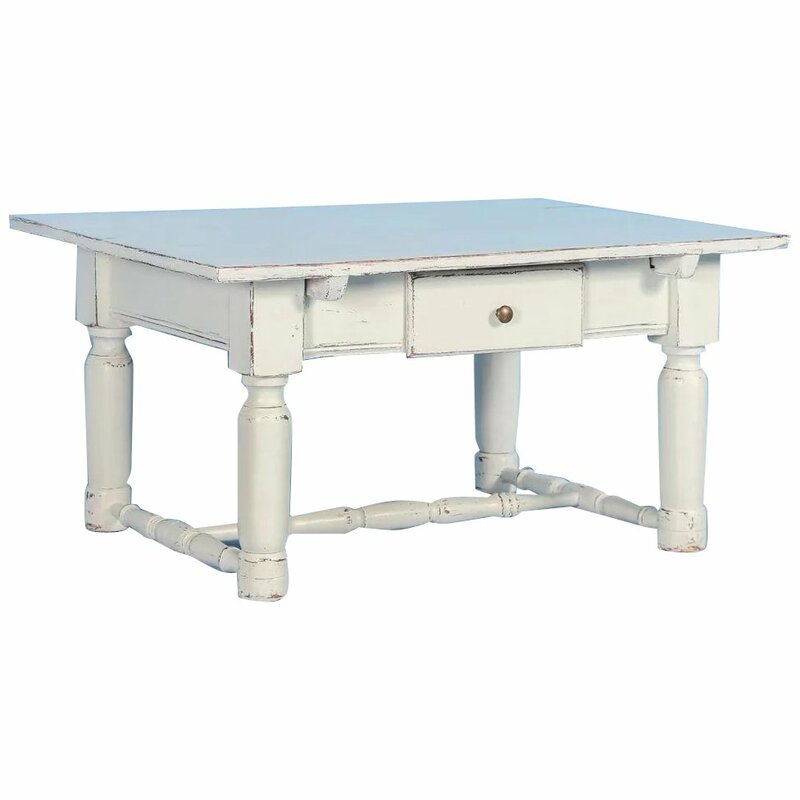 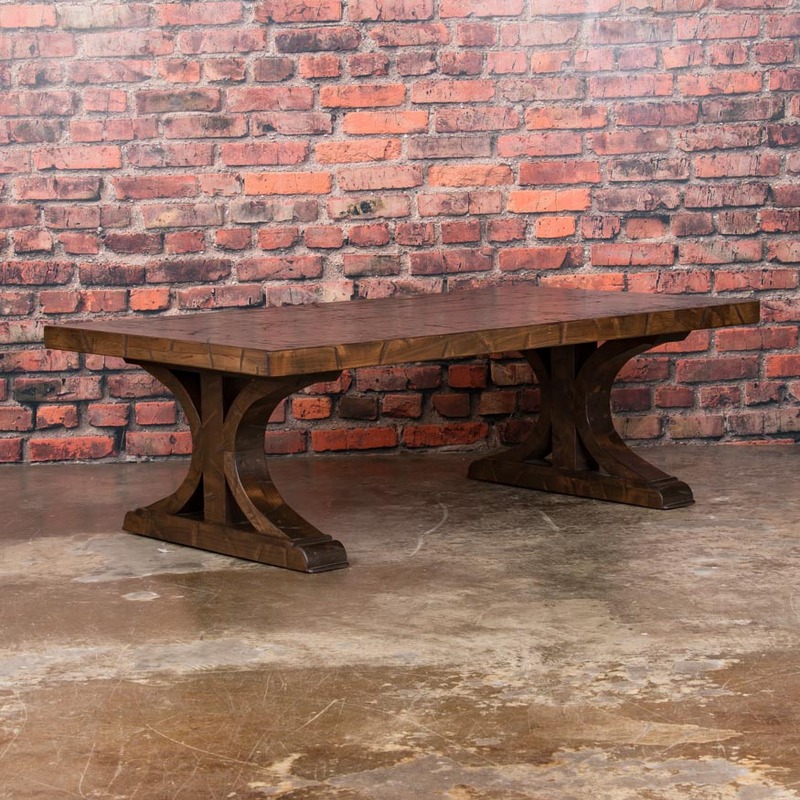 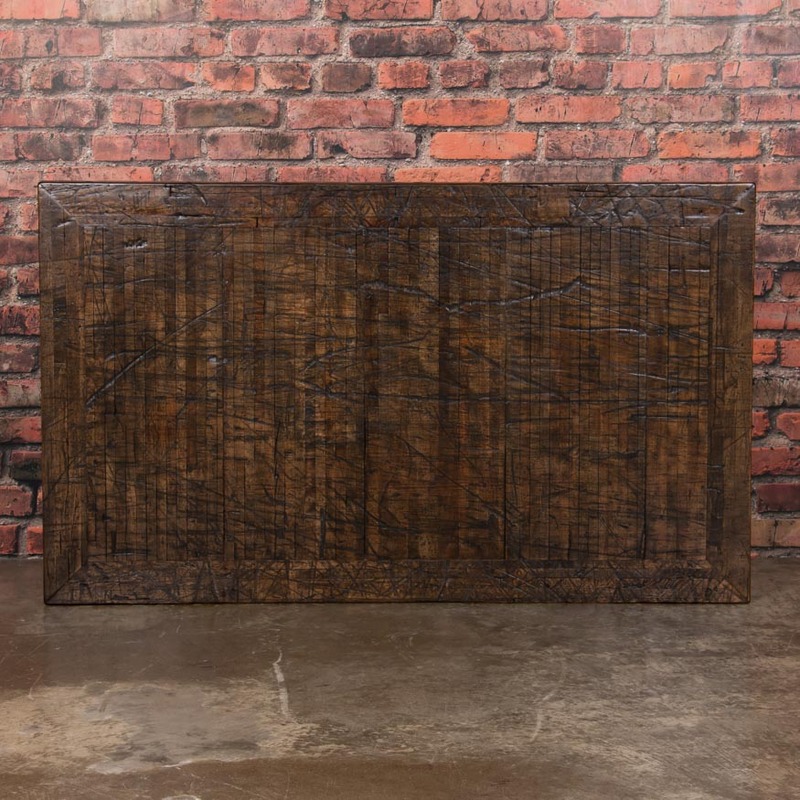 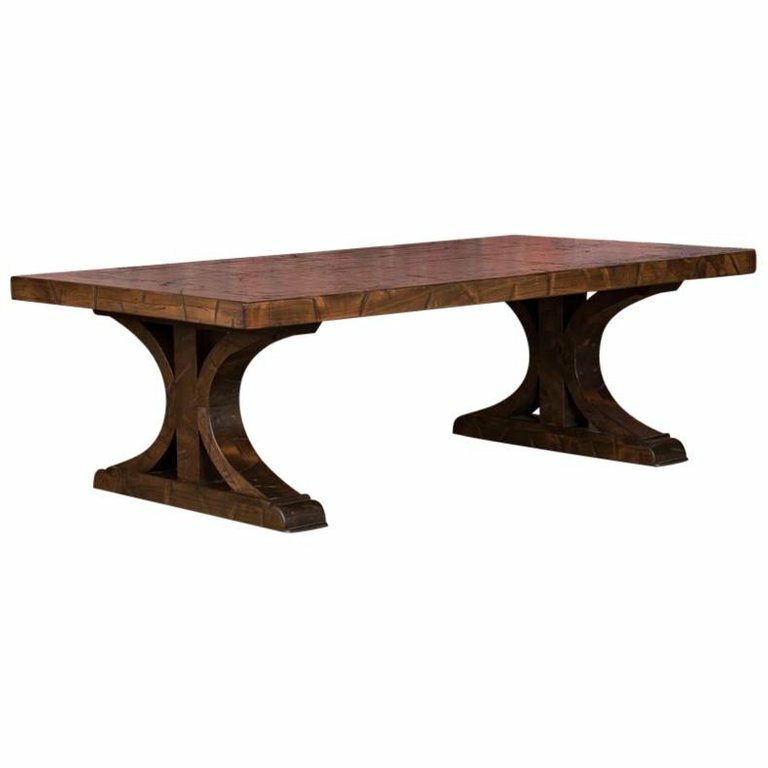 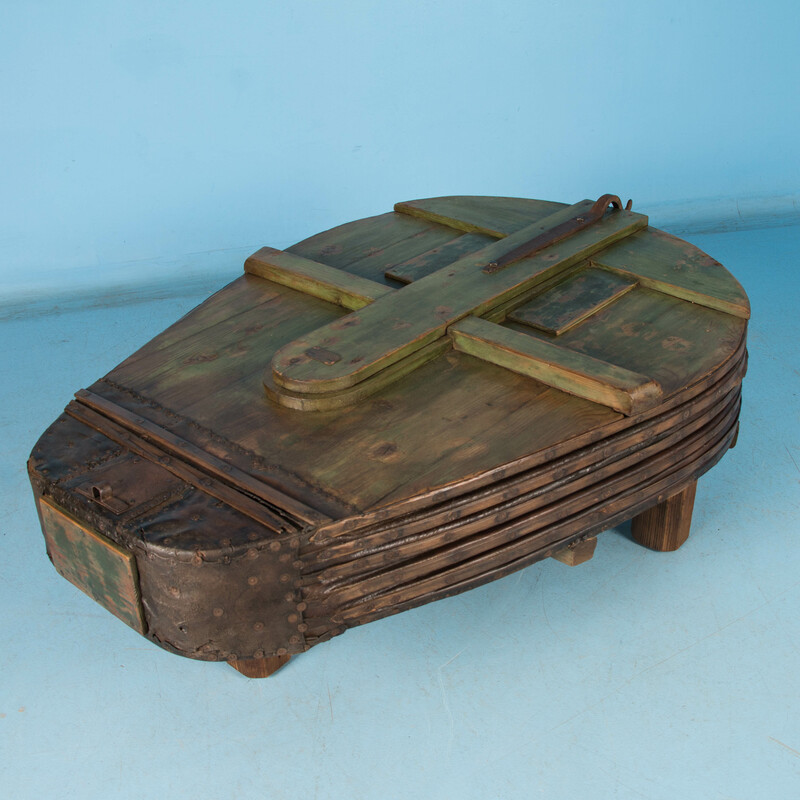 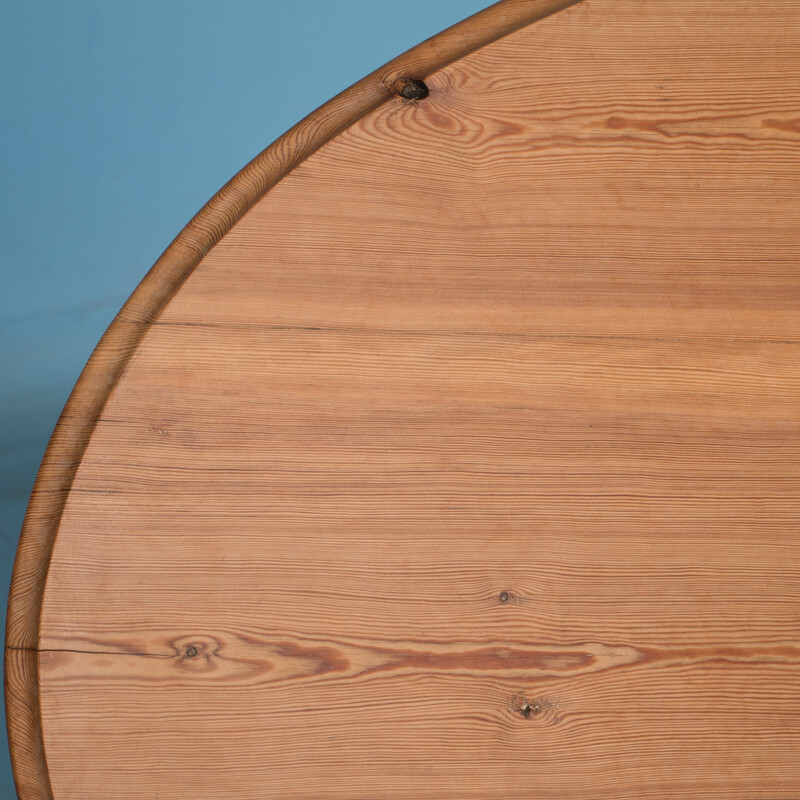 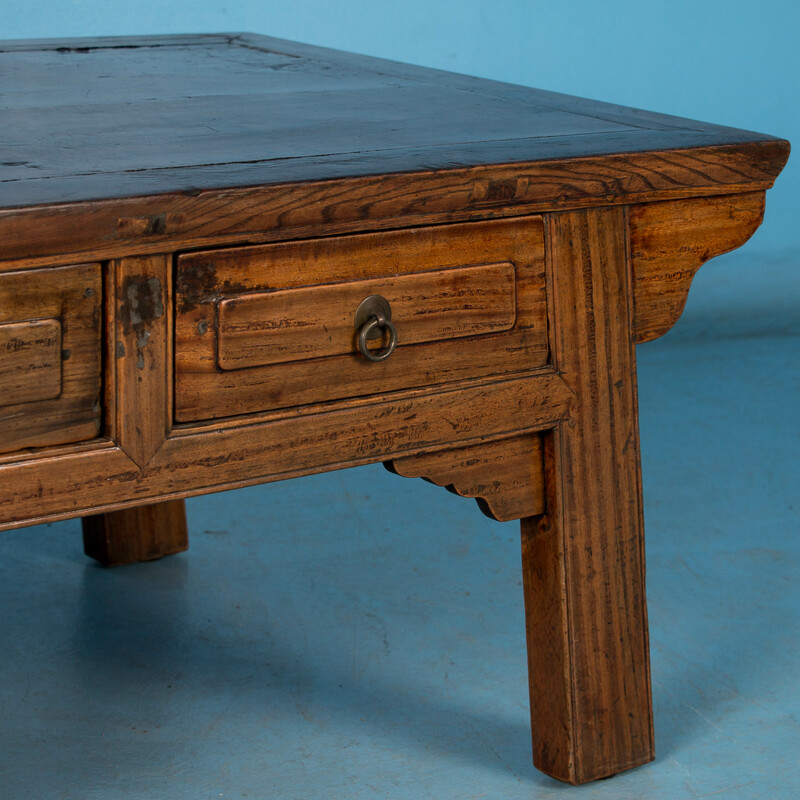 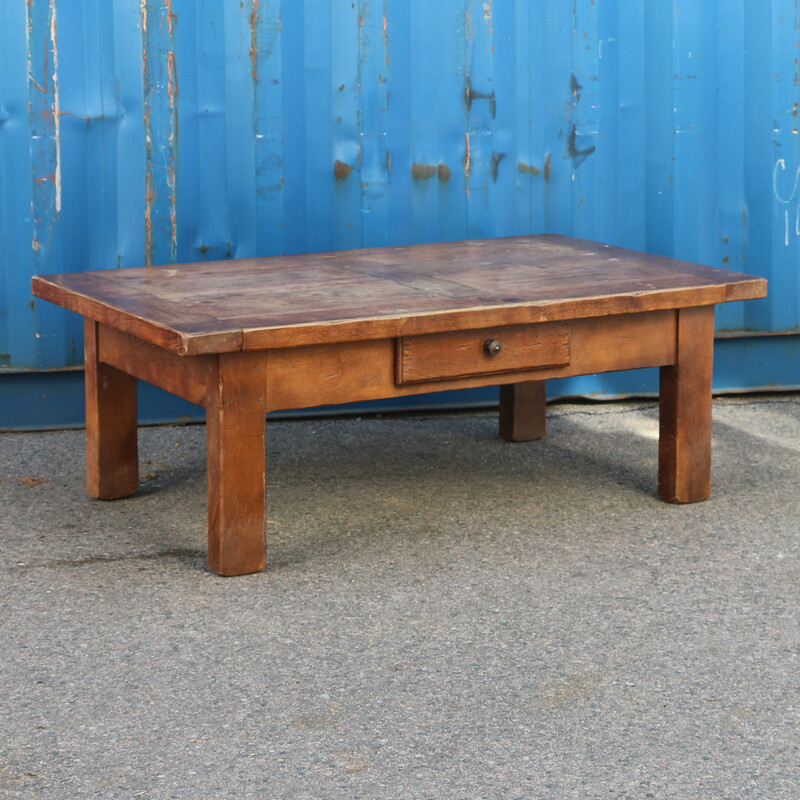 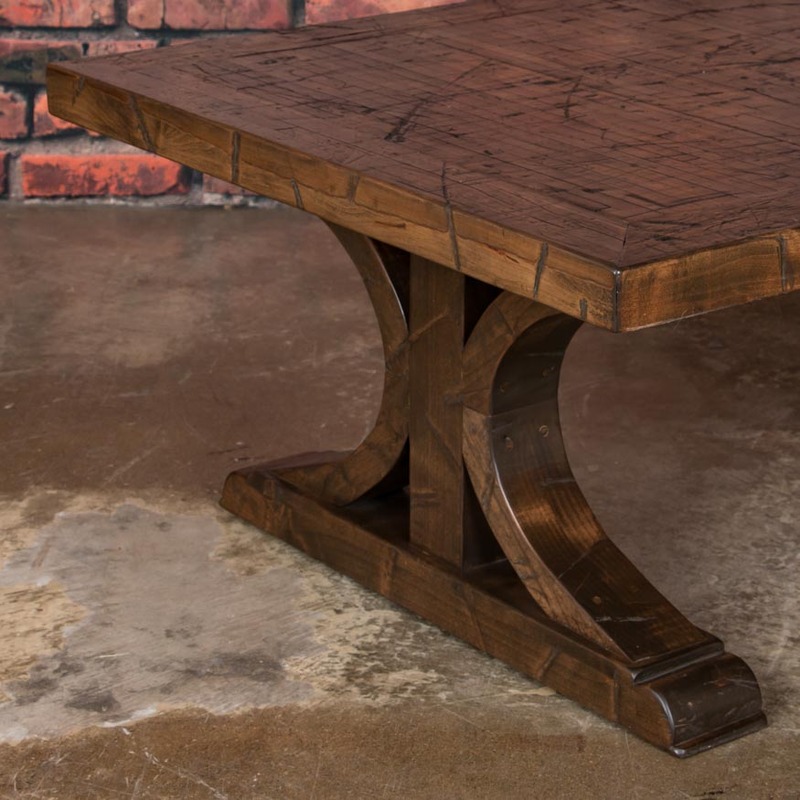 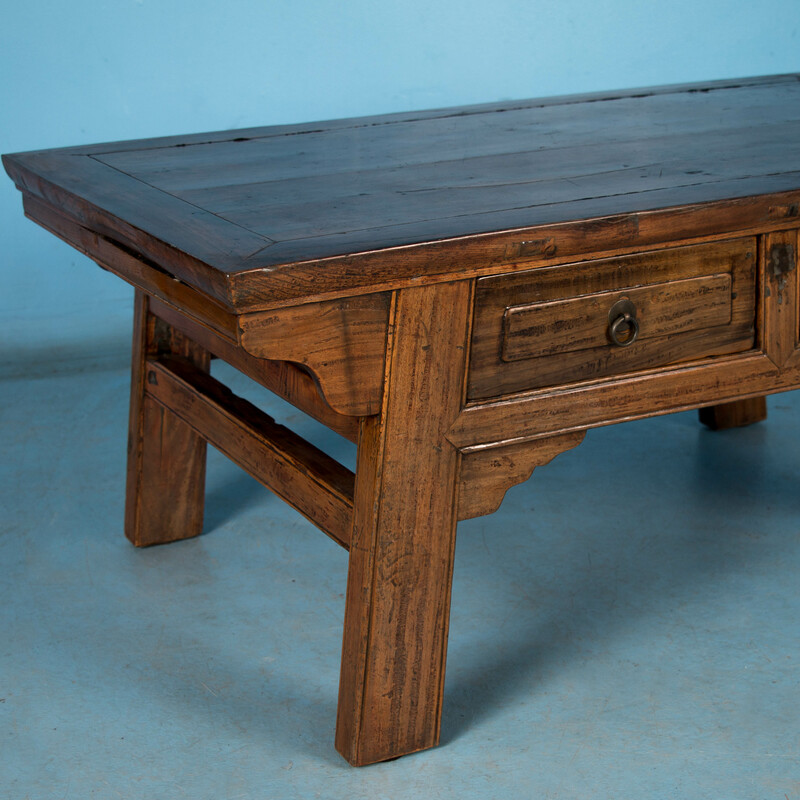 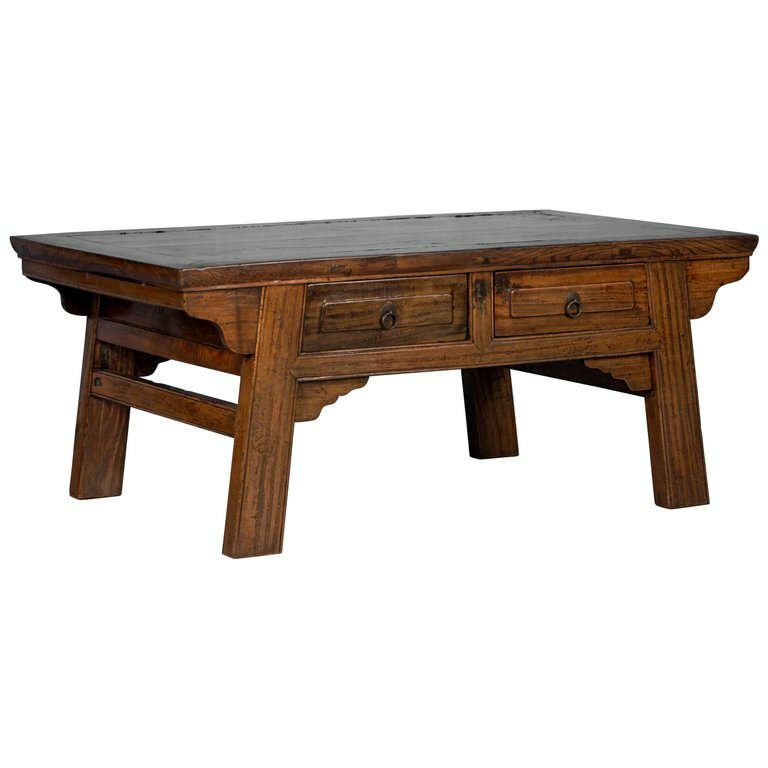 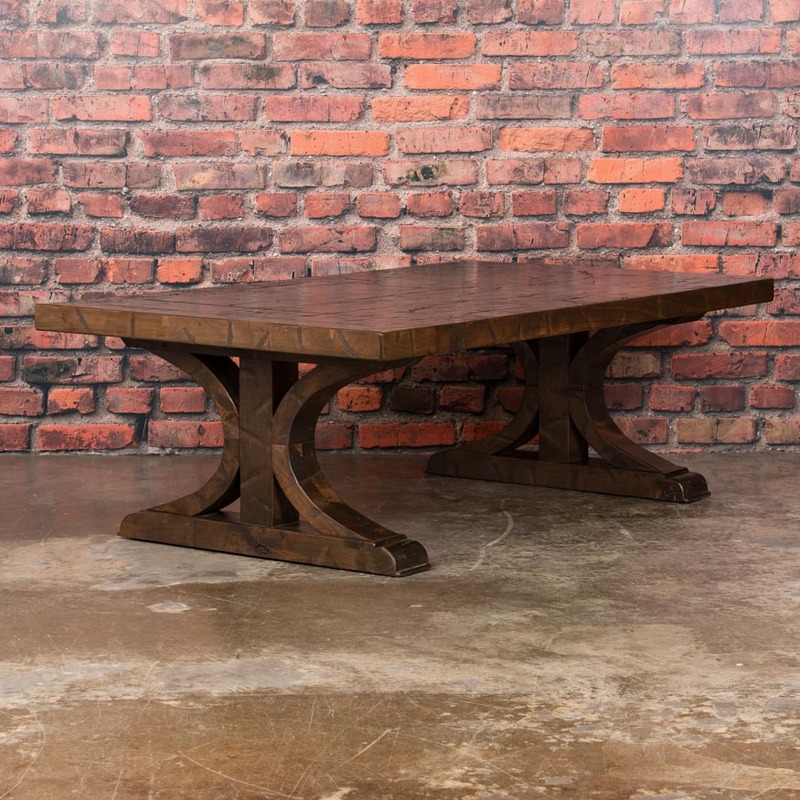 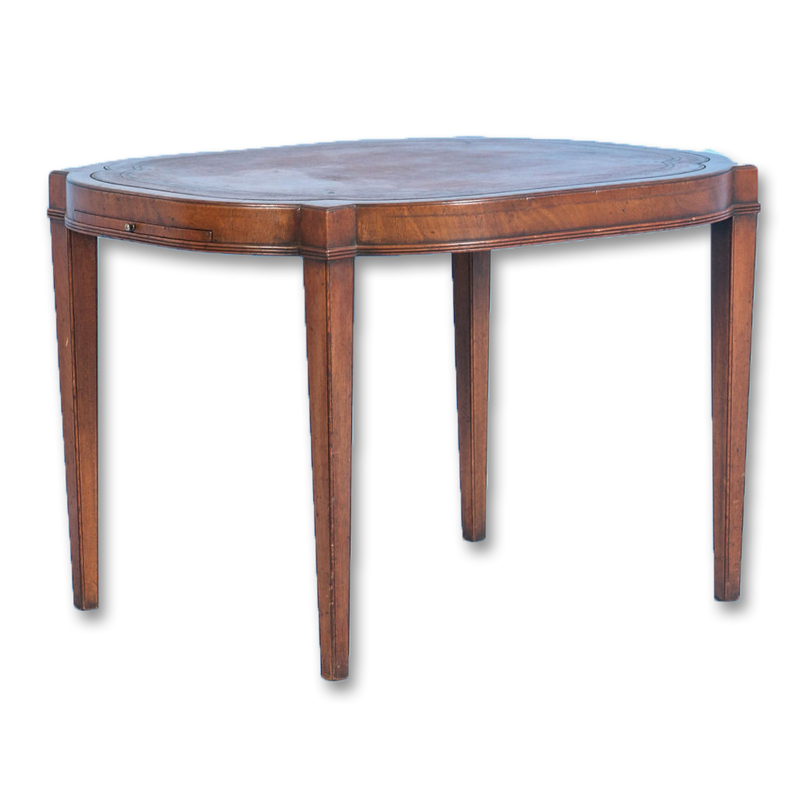 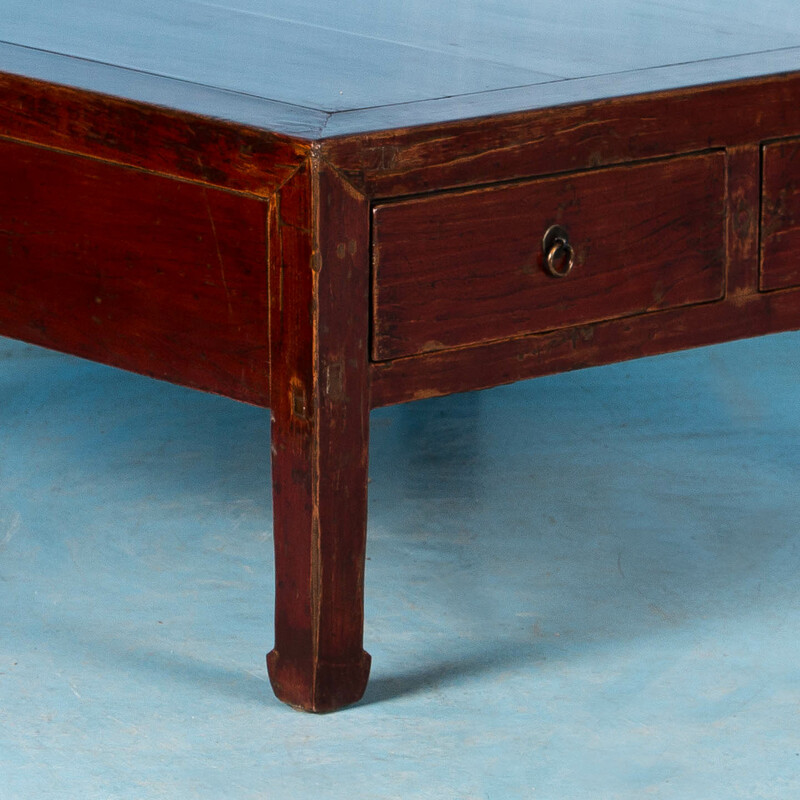 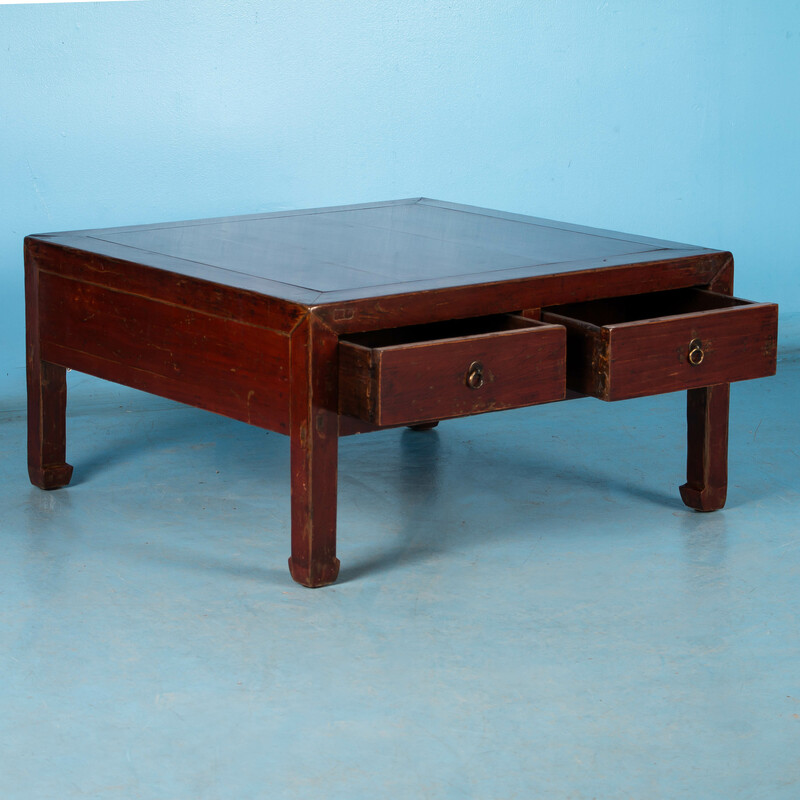 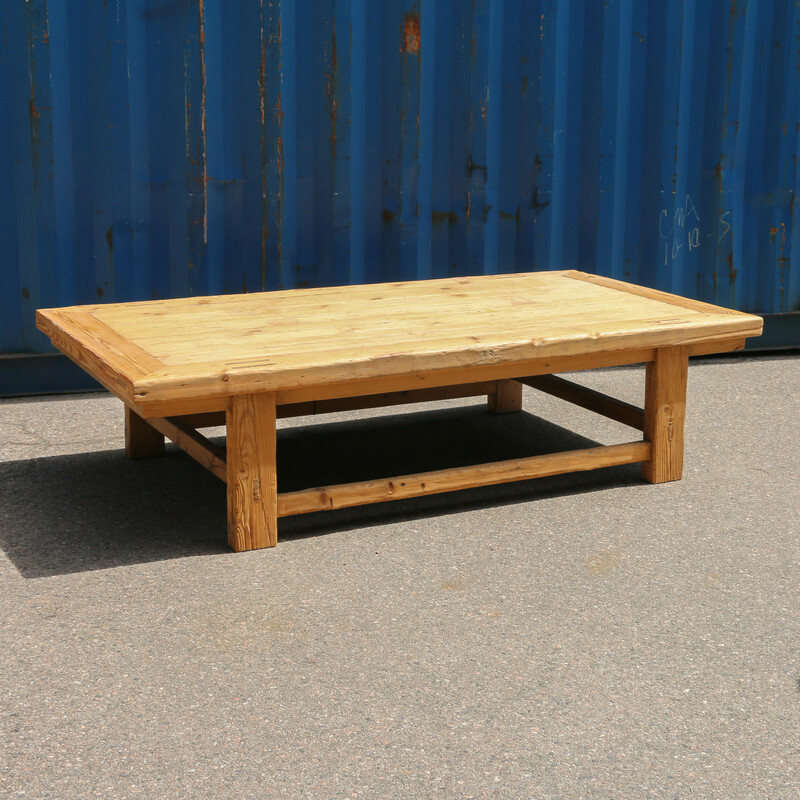 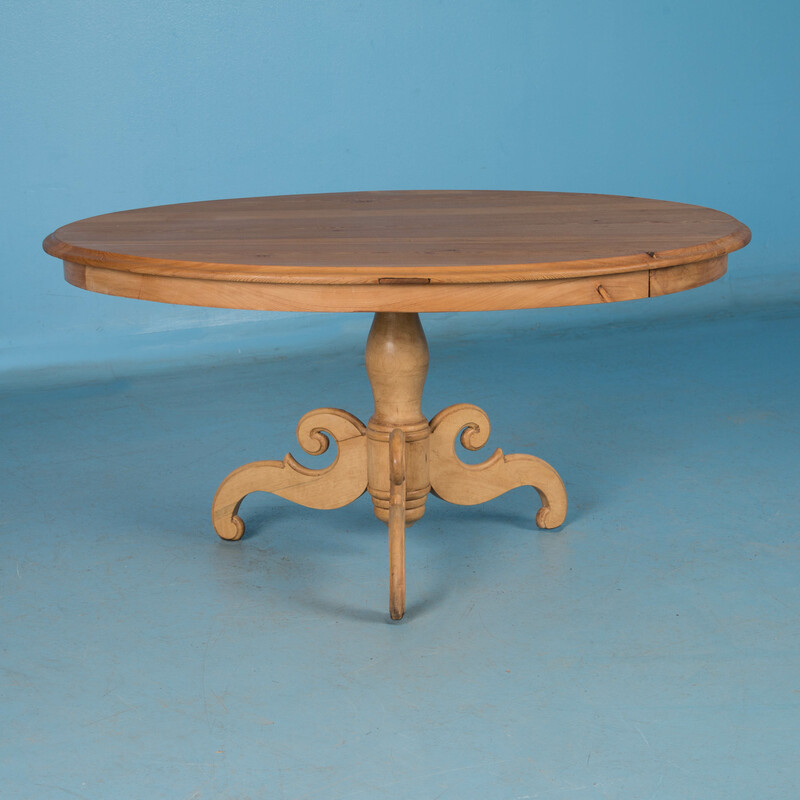 The decorative top of this unique table is made from an old fence. 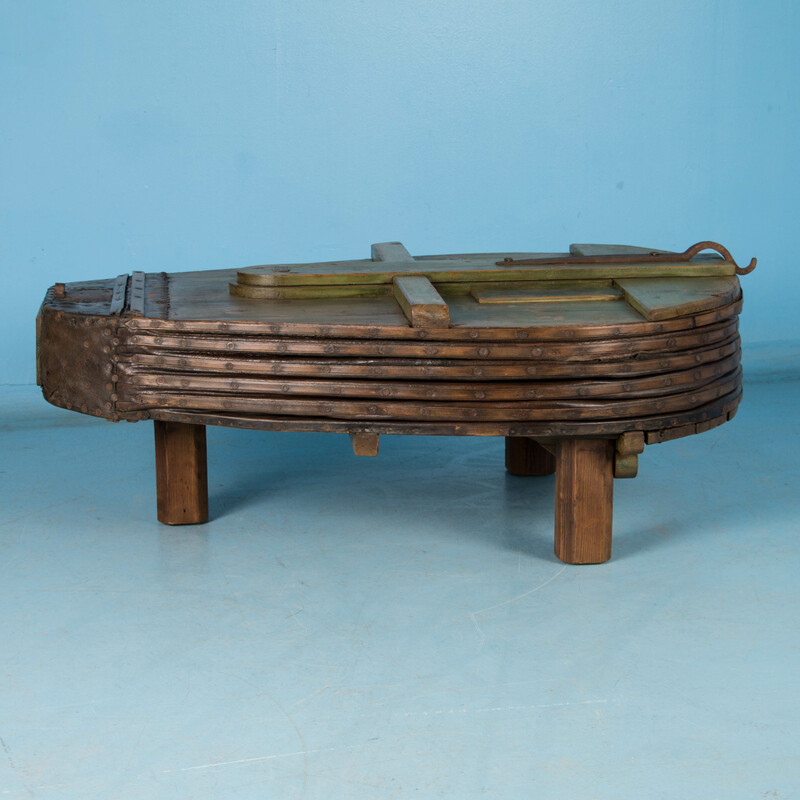 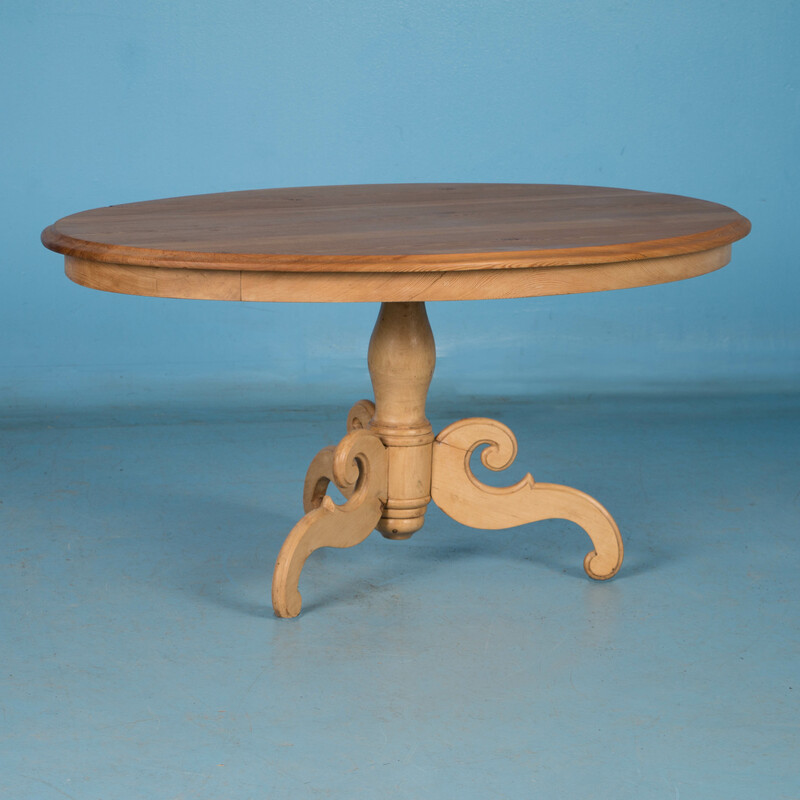 The base was base was created to hold the top which is covered with a heavy glass top. 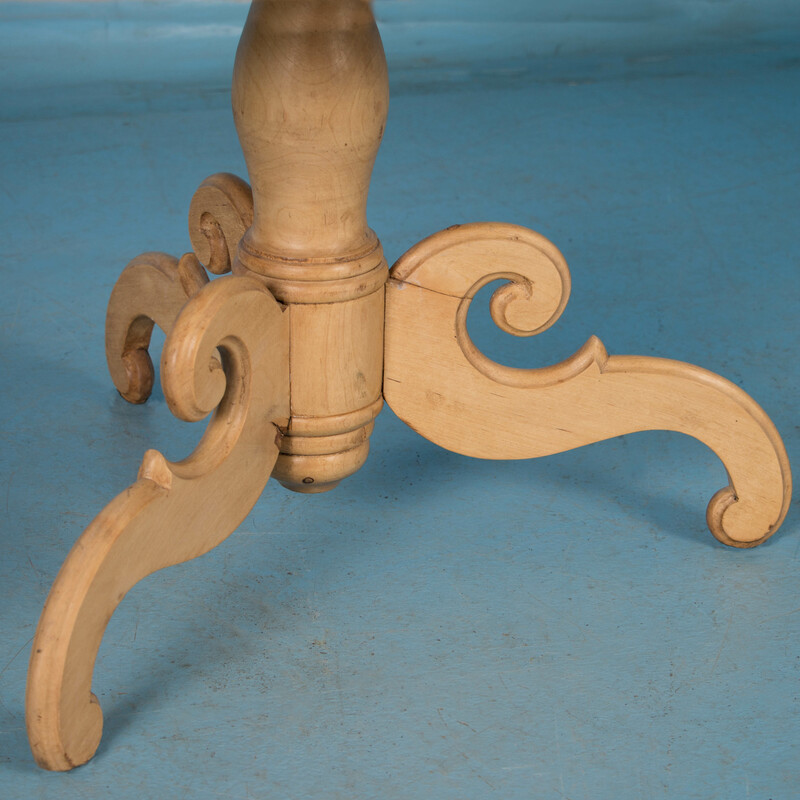 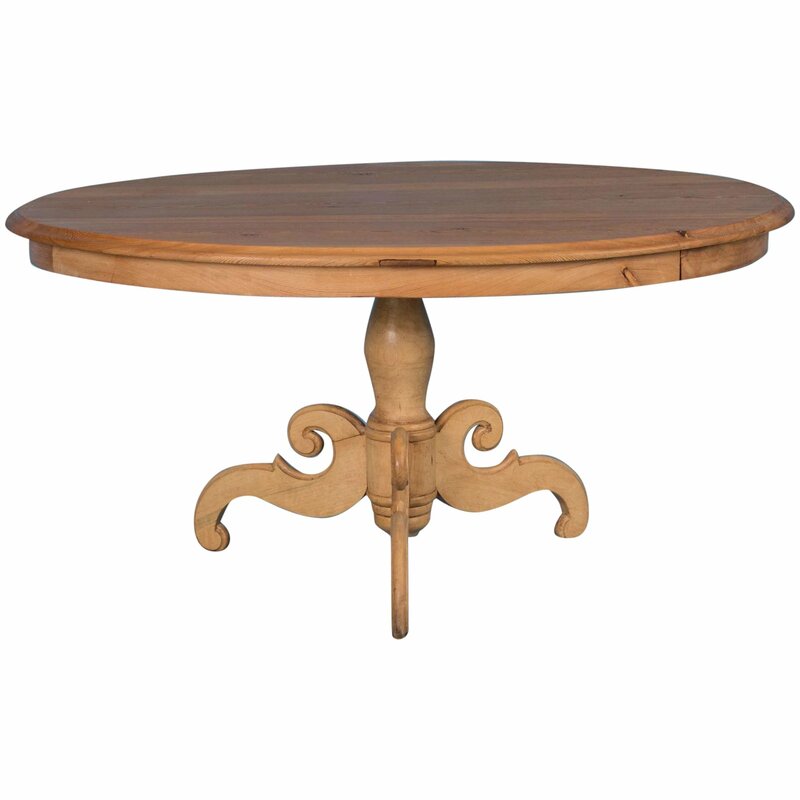 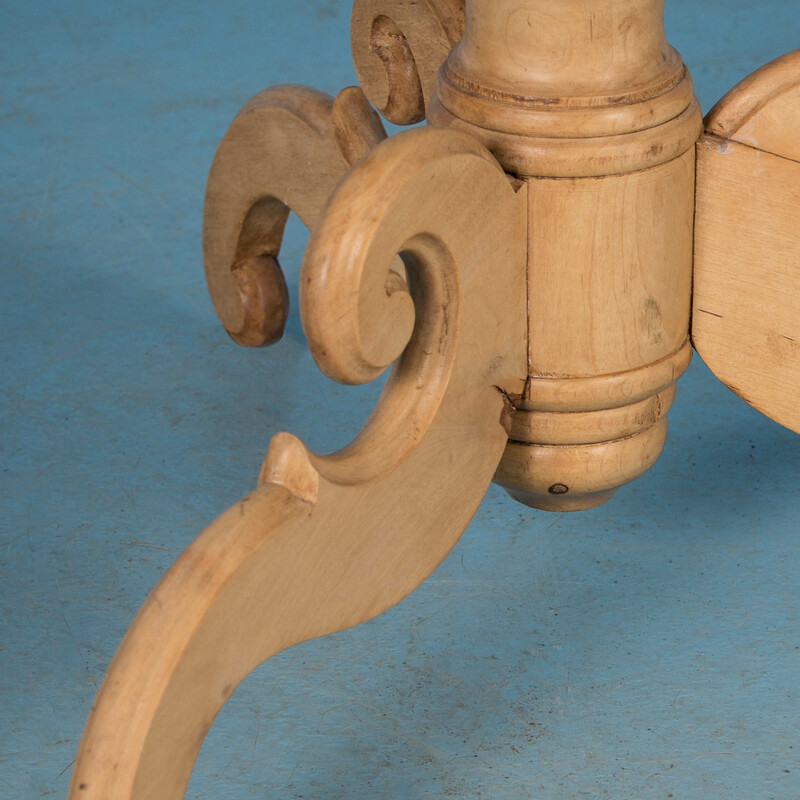 Fun and Functional, this will make a one of a kind accent piece.